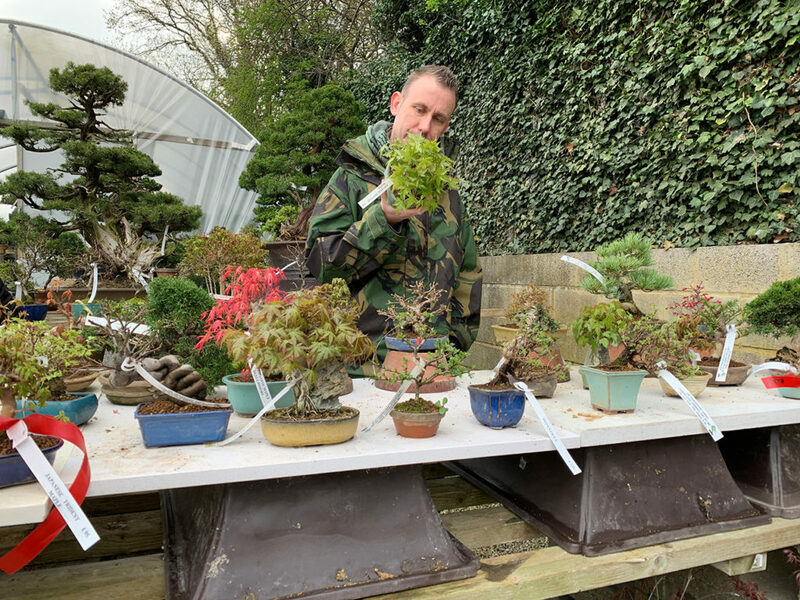 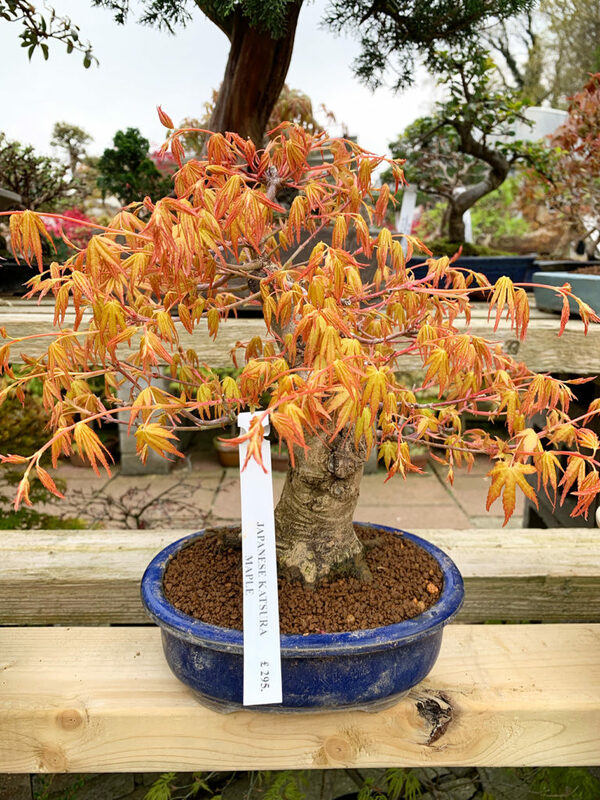 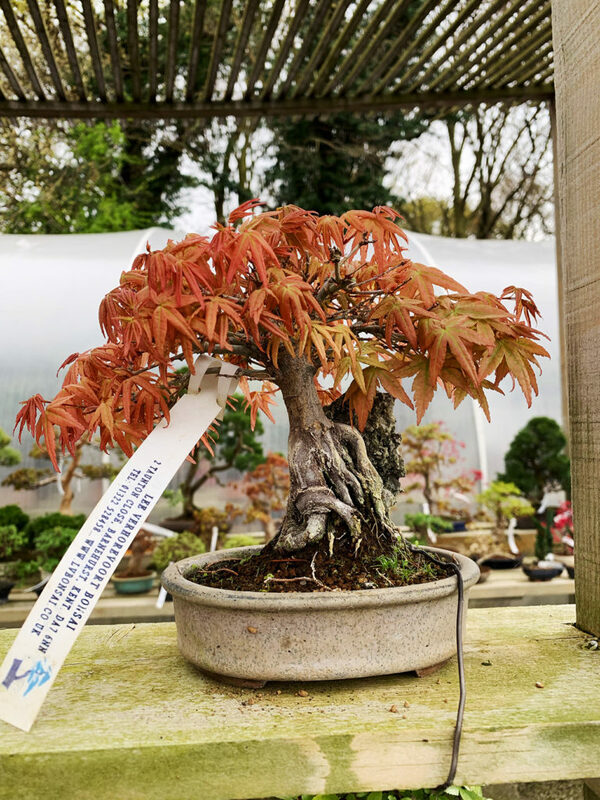 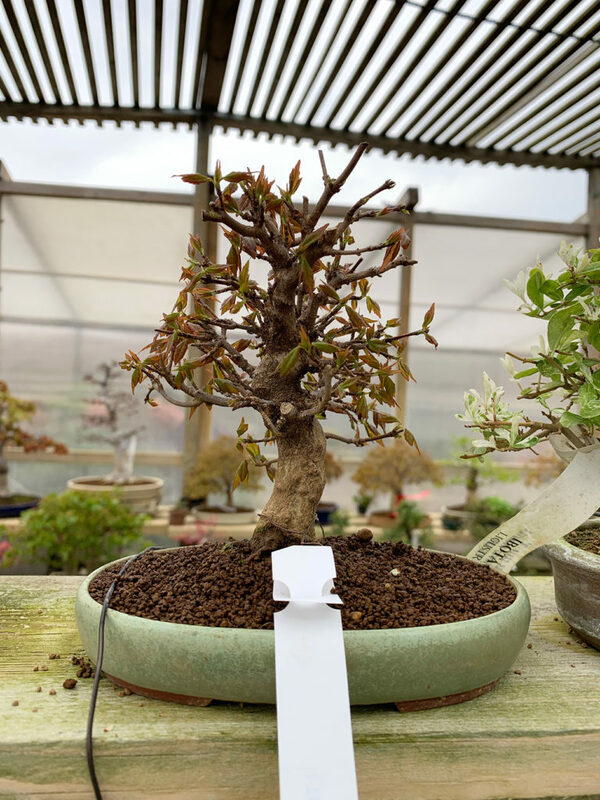 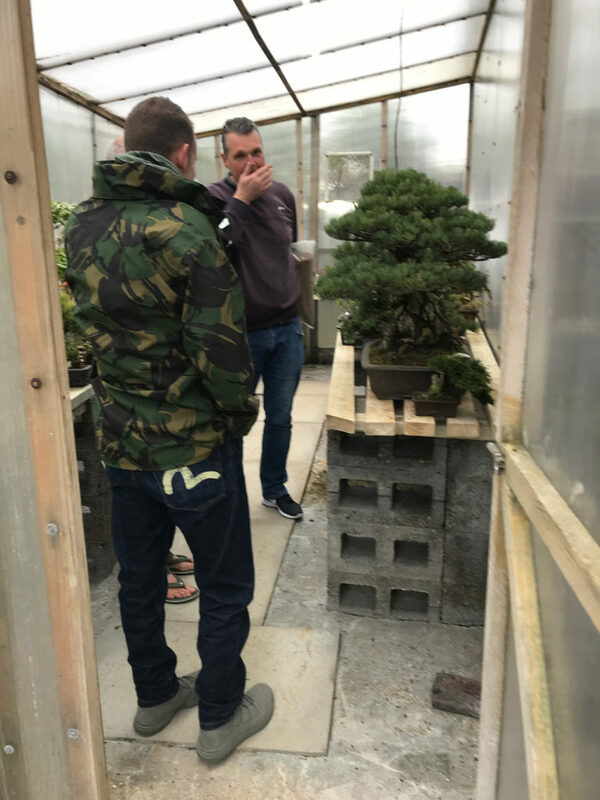 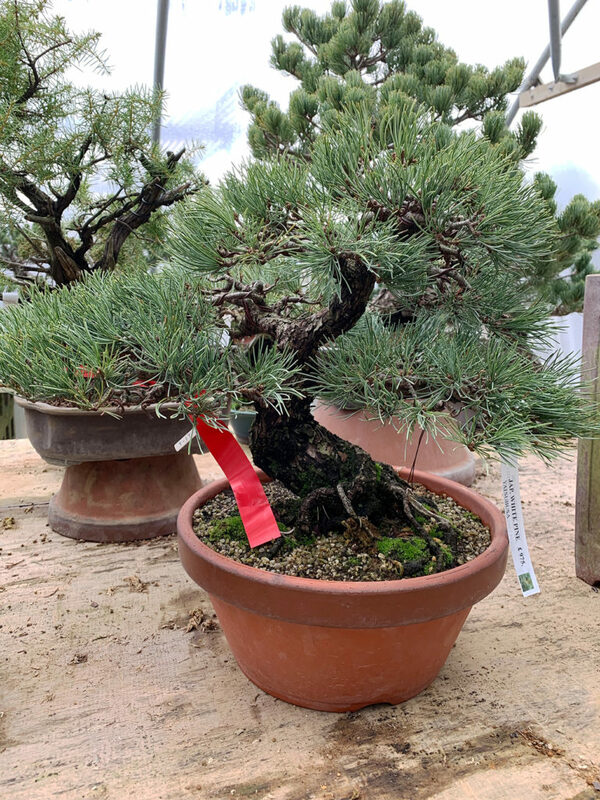 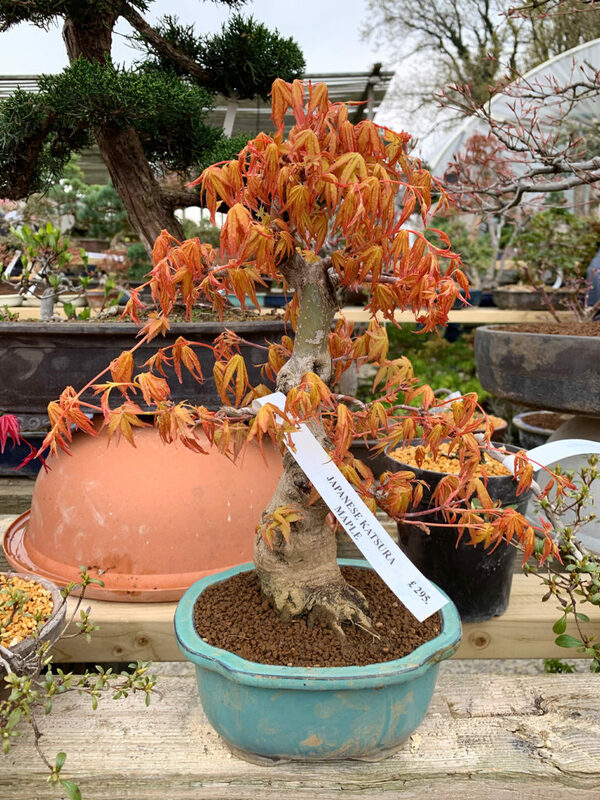 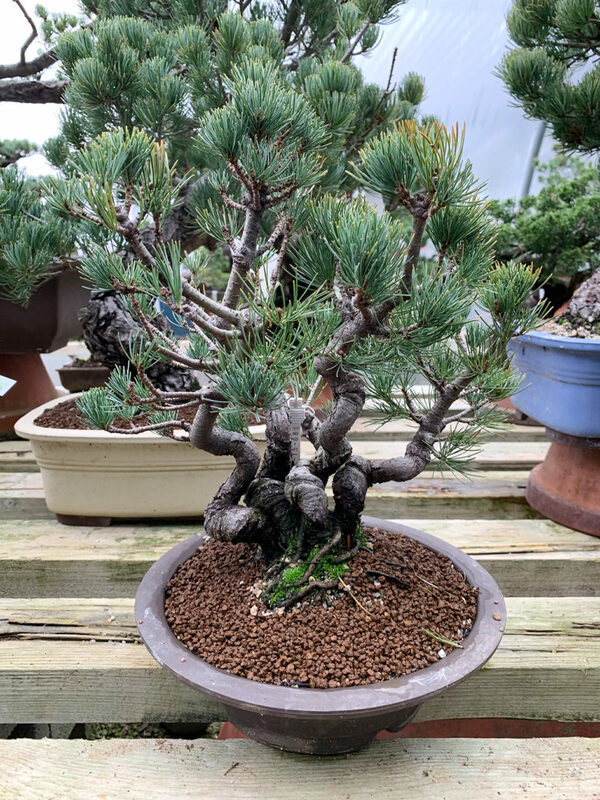 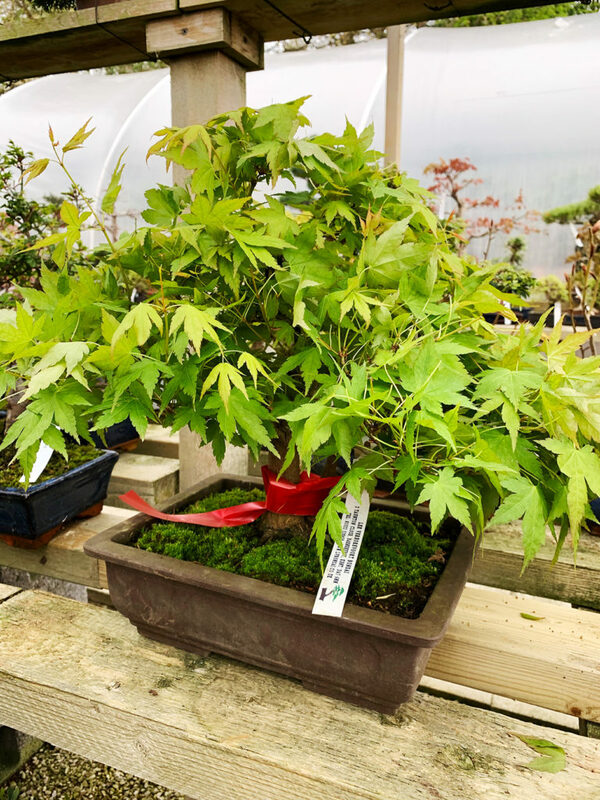 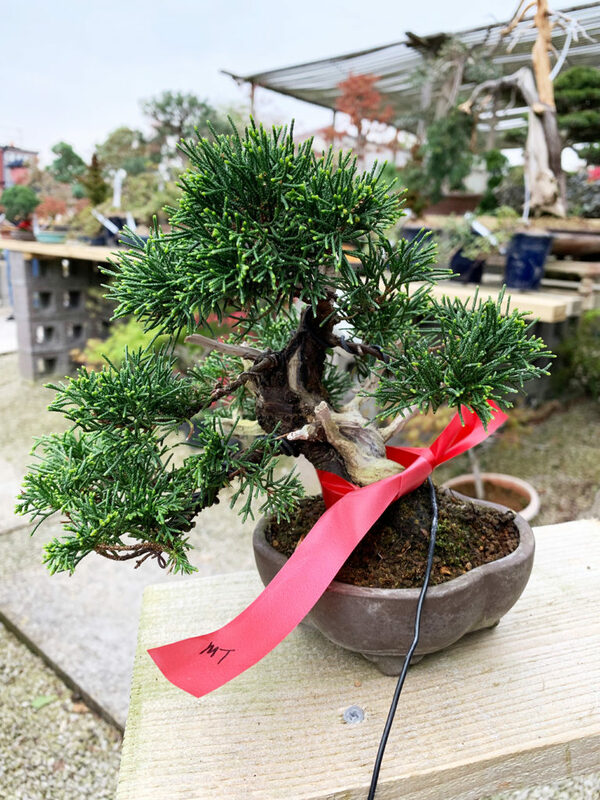 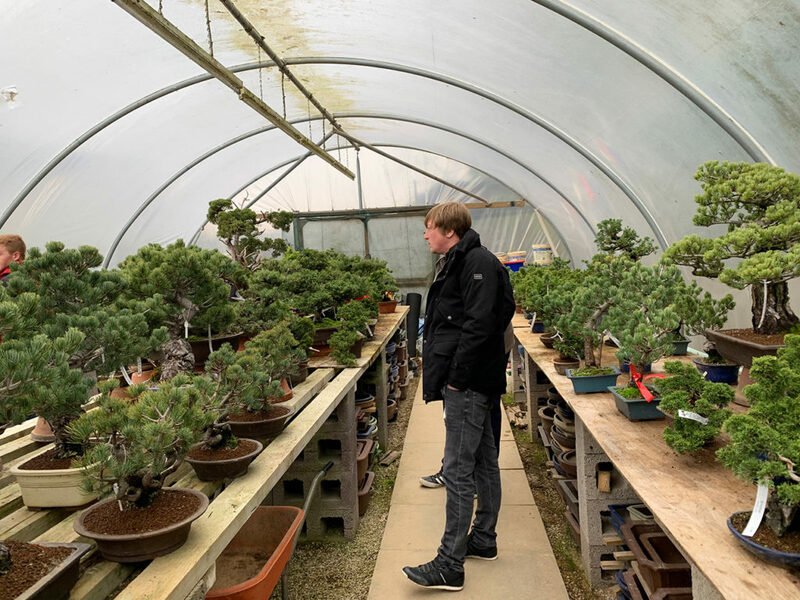 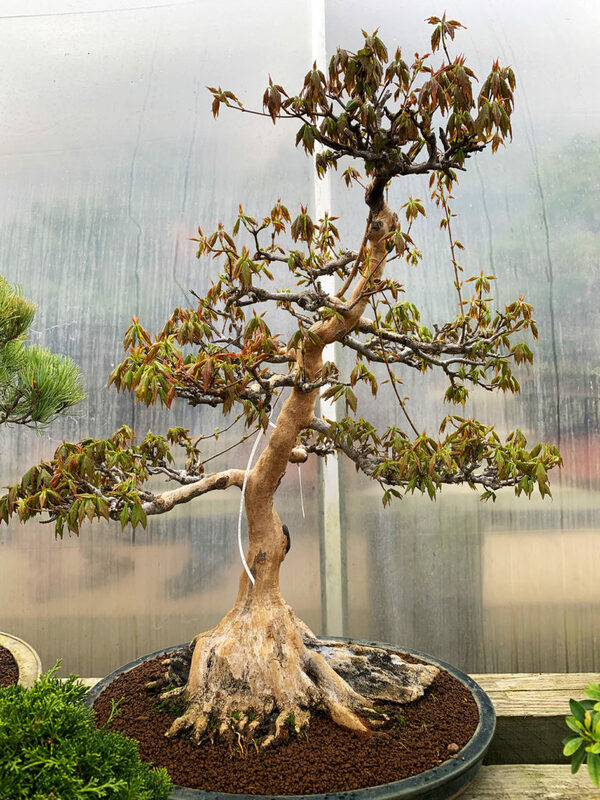 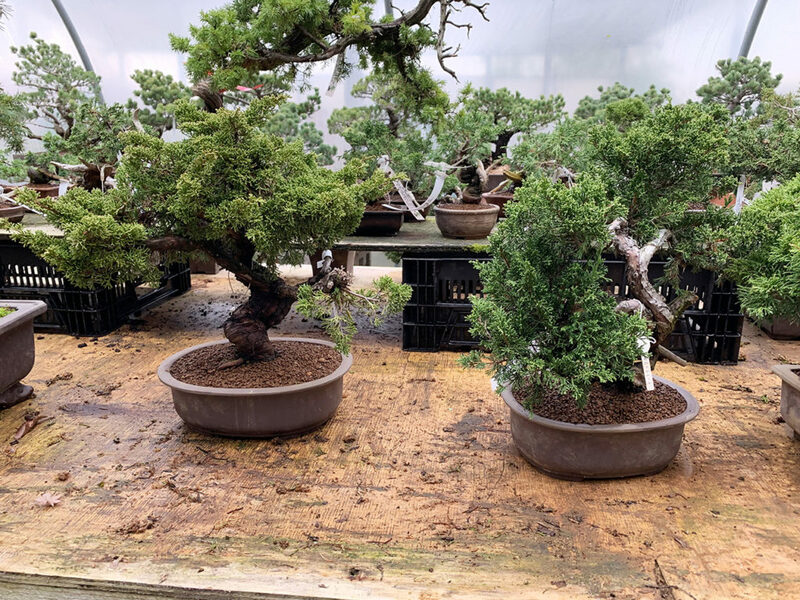 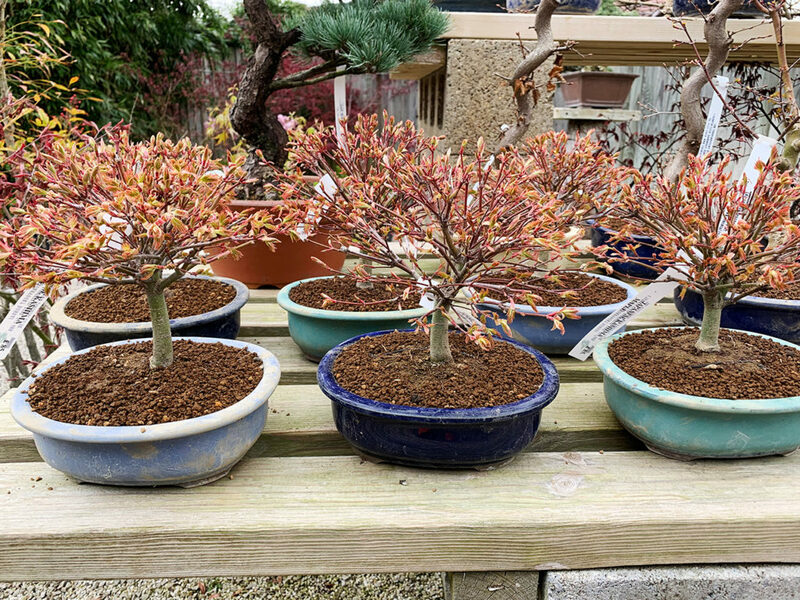 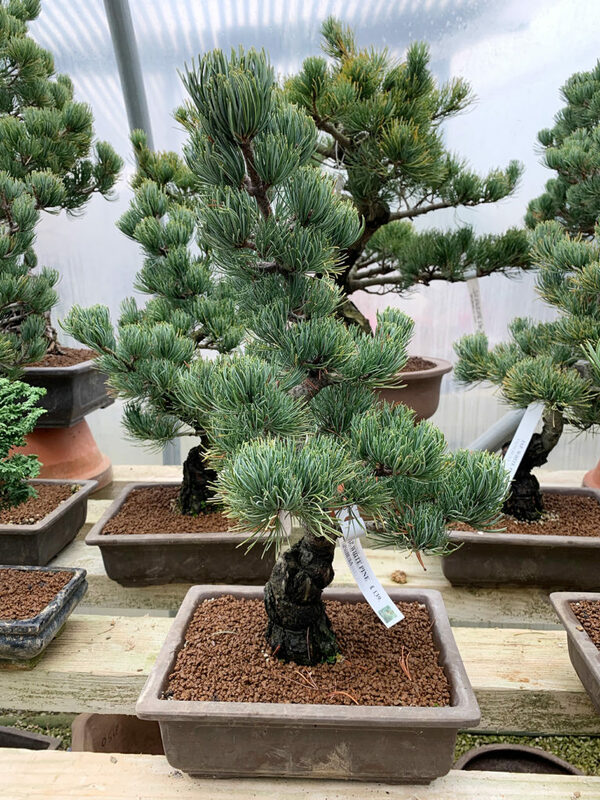 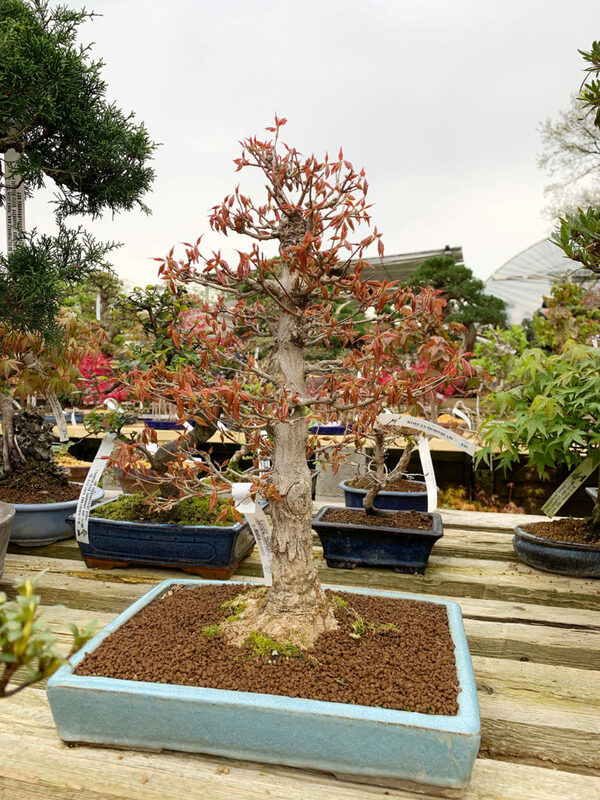 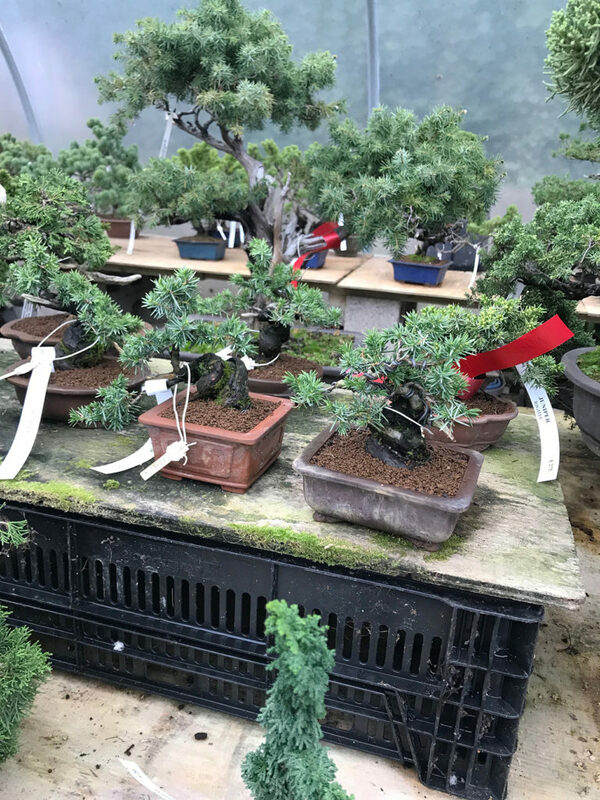 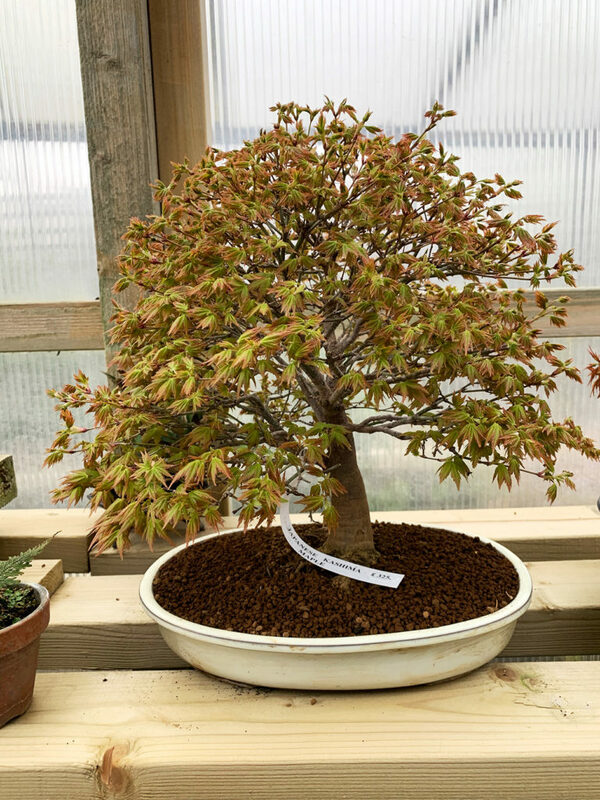 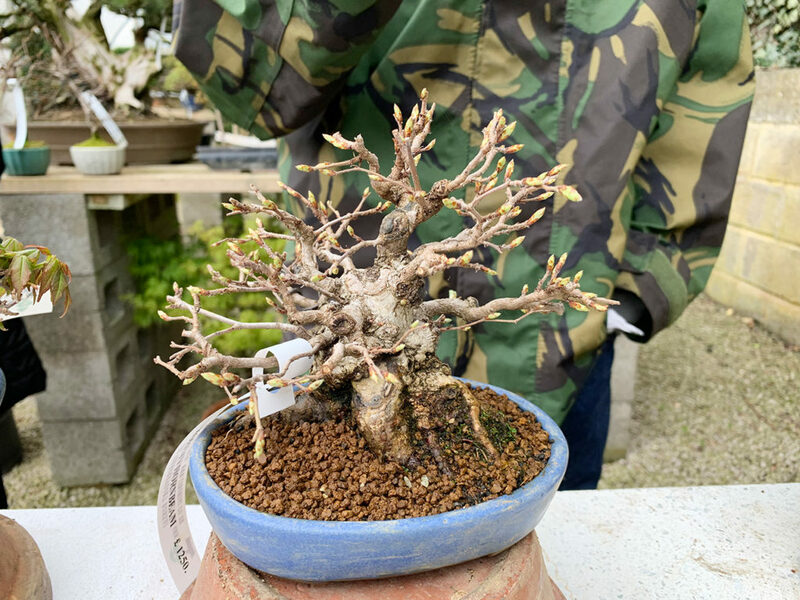 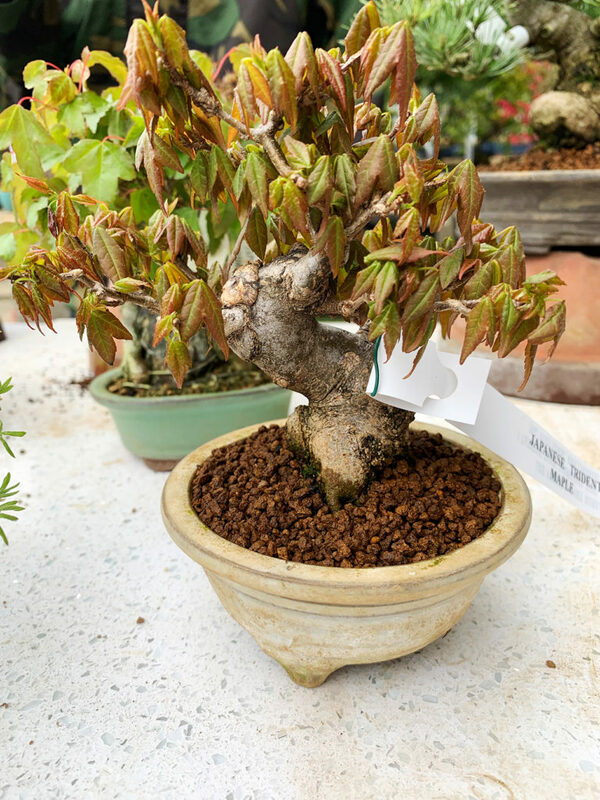 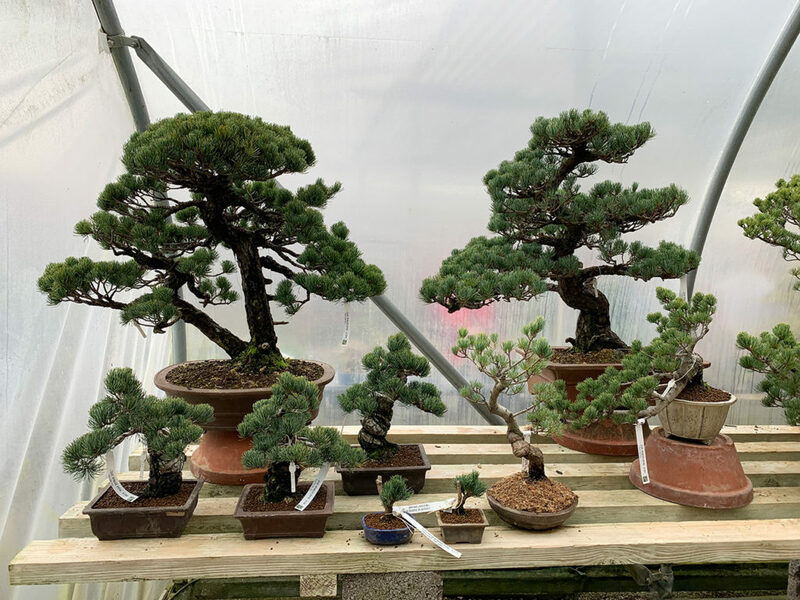 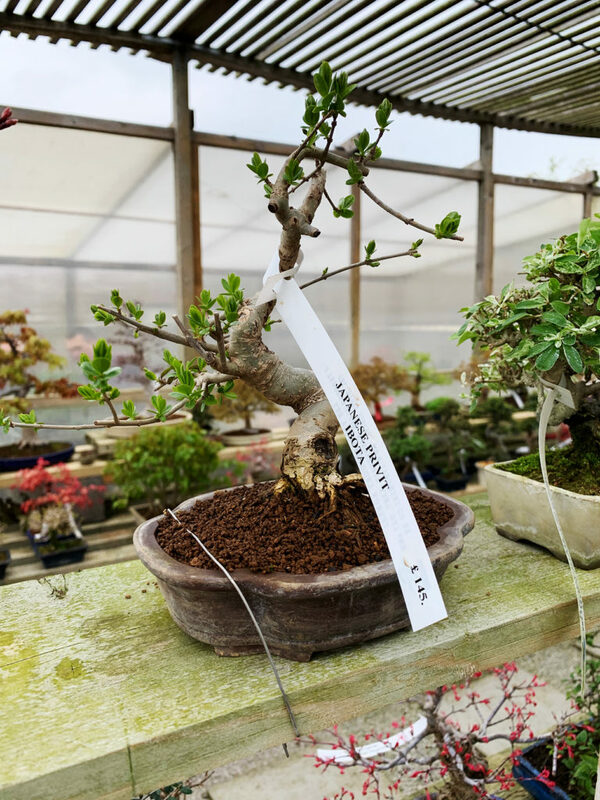 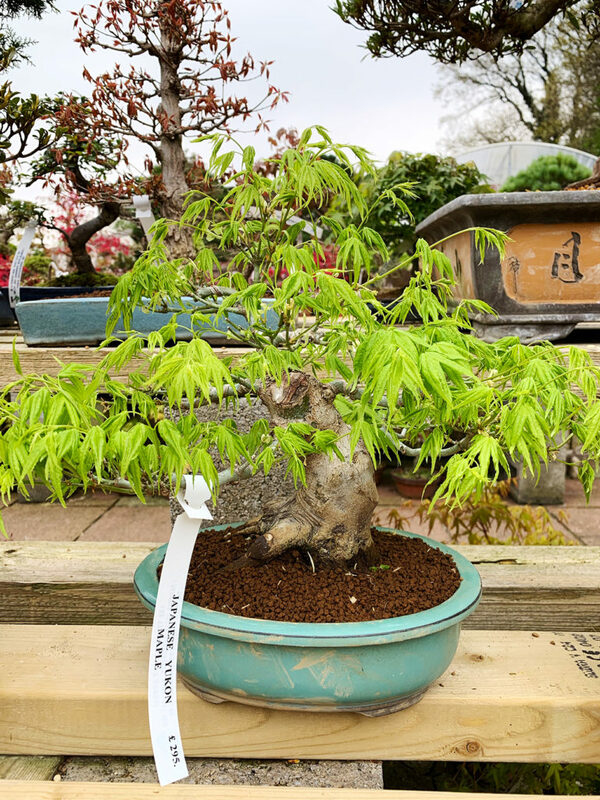 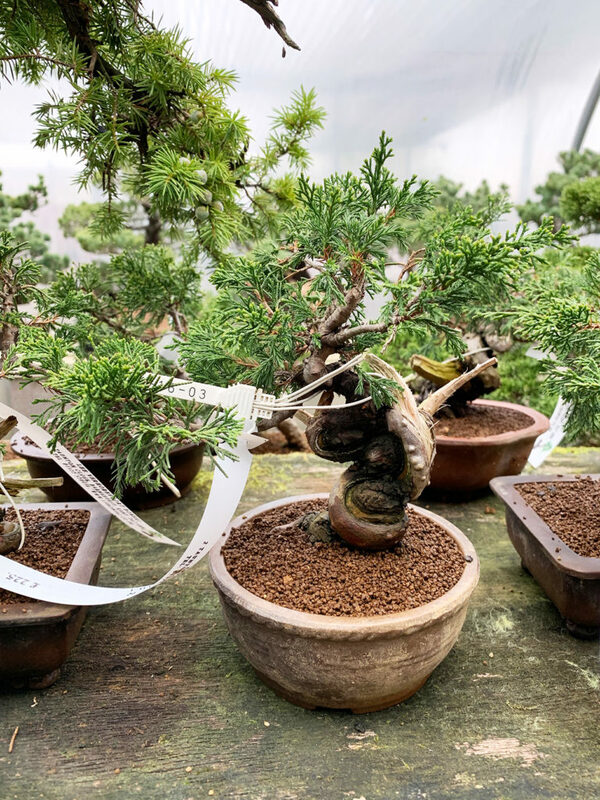 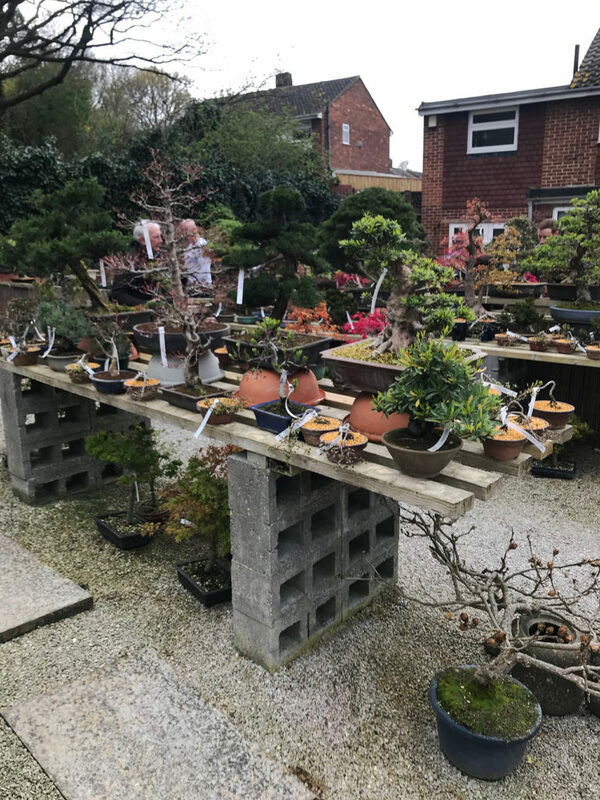 Today was the first day for everyone to have an opportunity to view and buy the new bonsai stock that Lee has bought in from Japan for 2019 after being through quarantine plus rigorous testing and checks by the plant health governing authorities for the past few weeks / months. 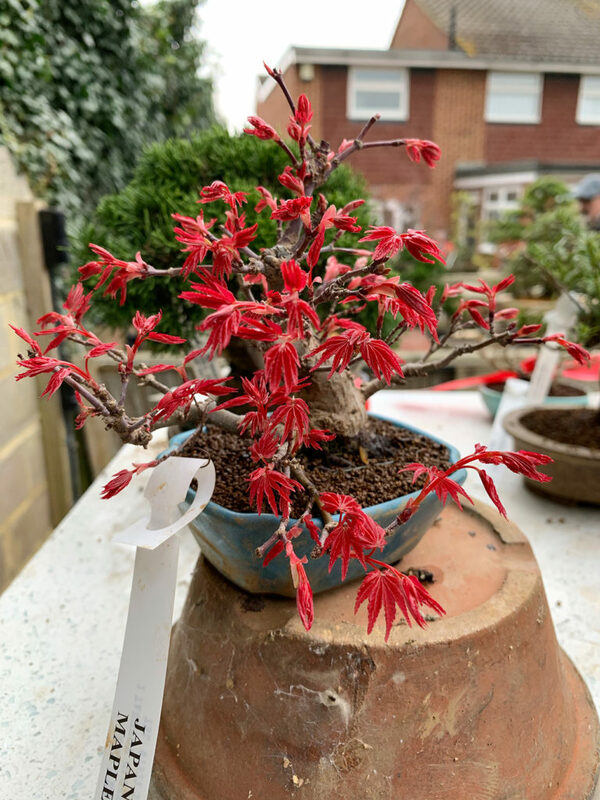 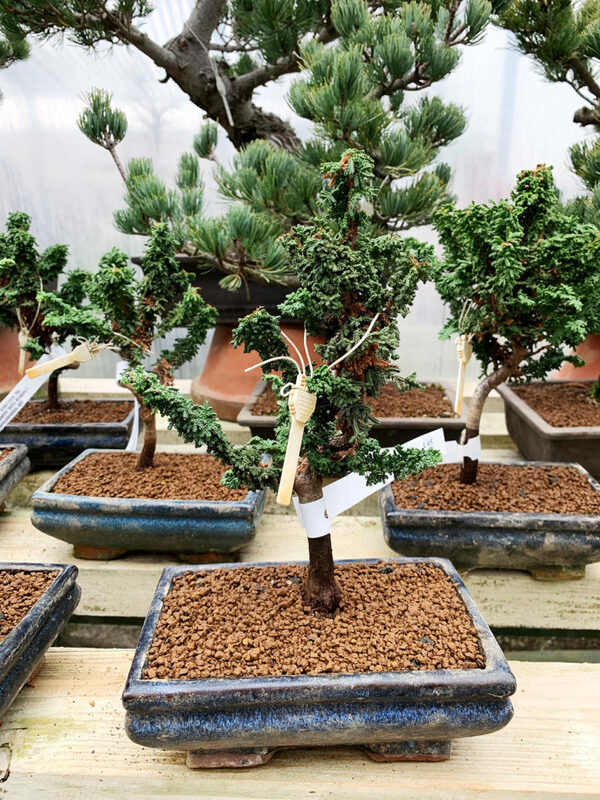 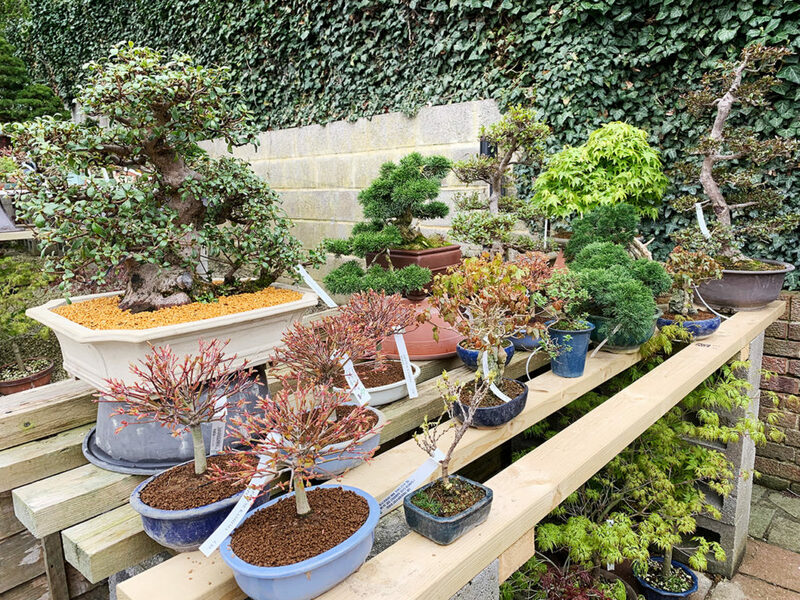 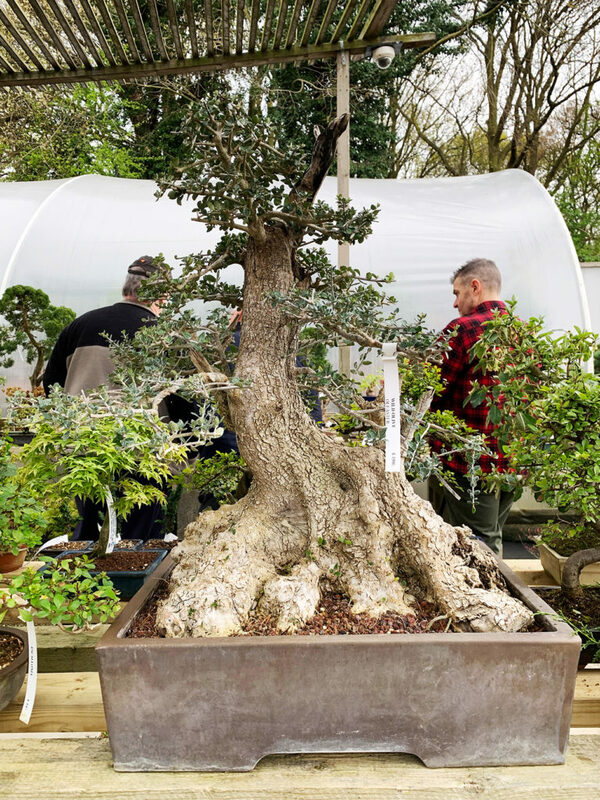 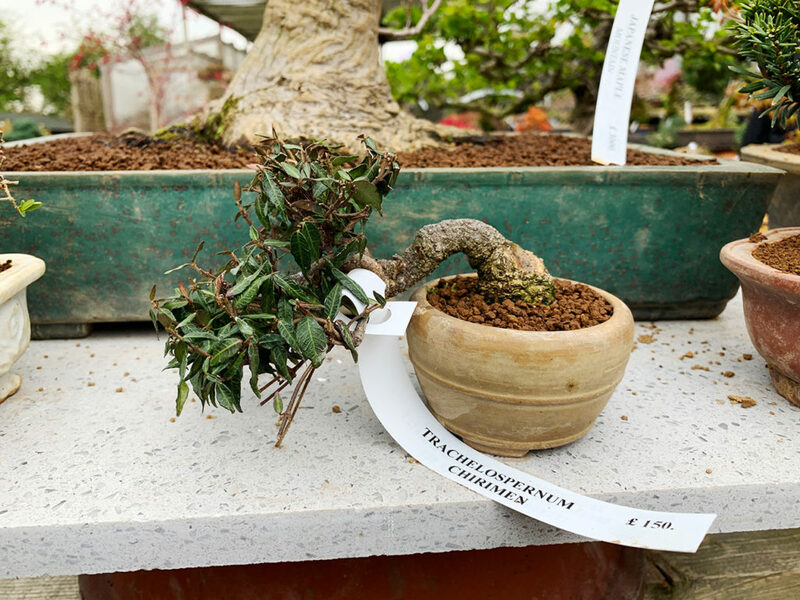 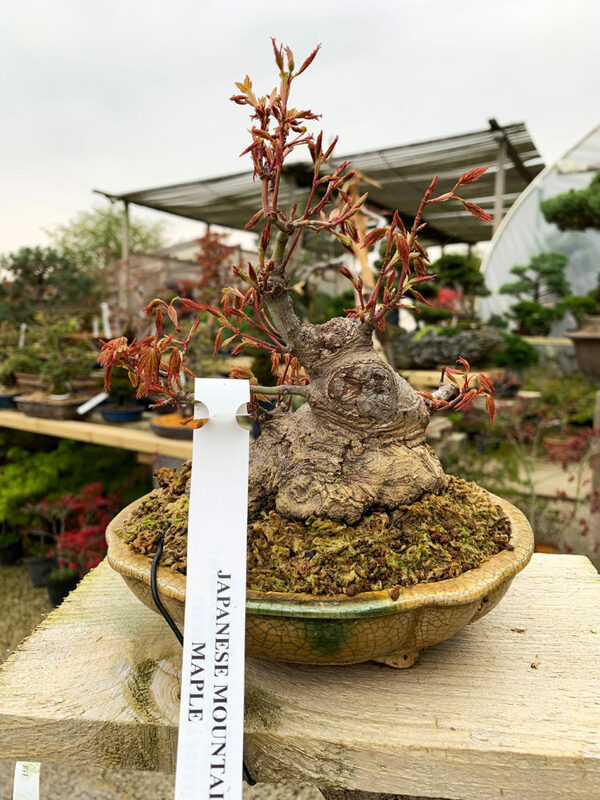 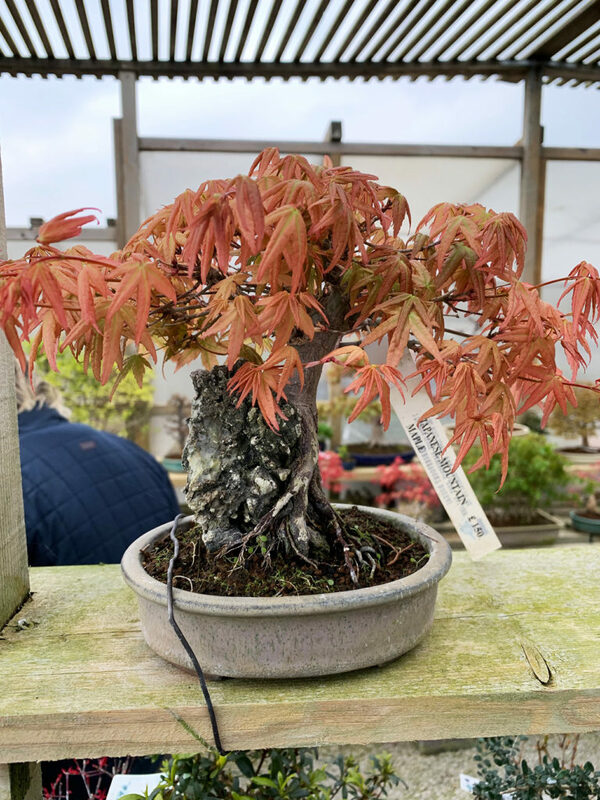 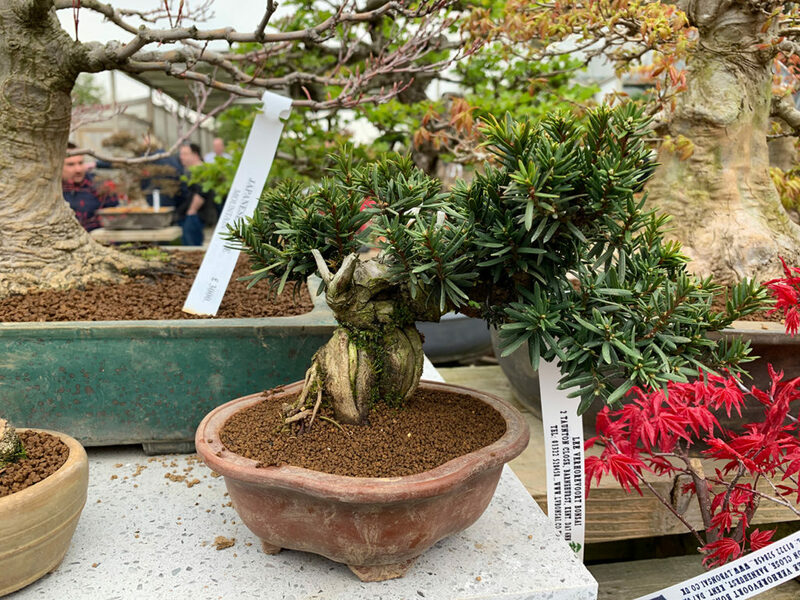 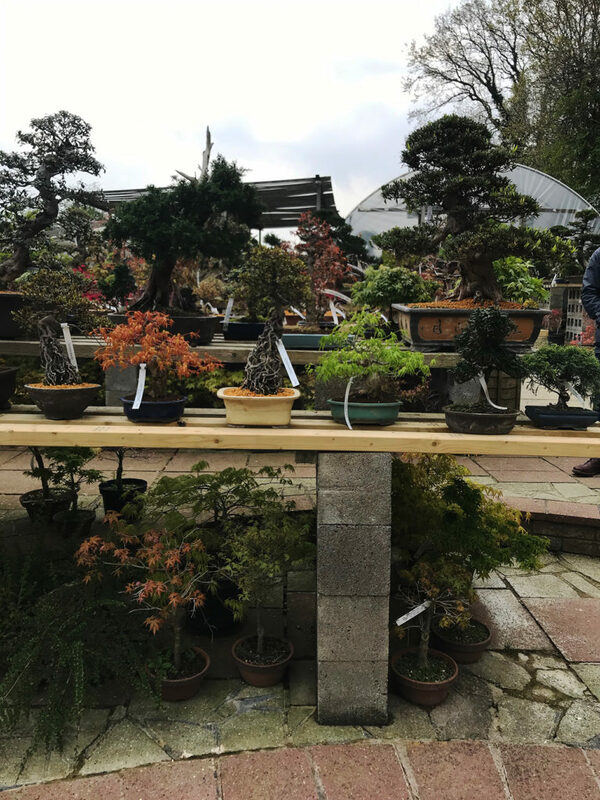 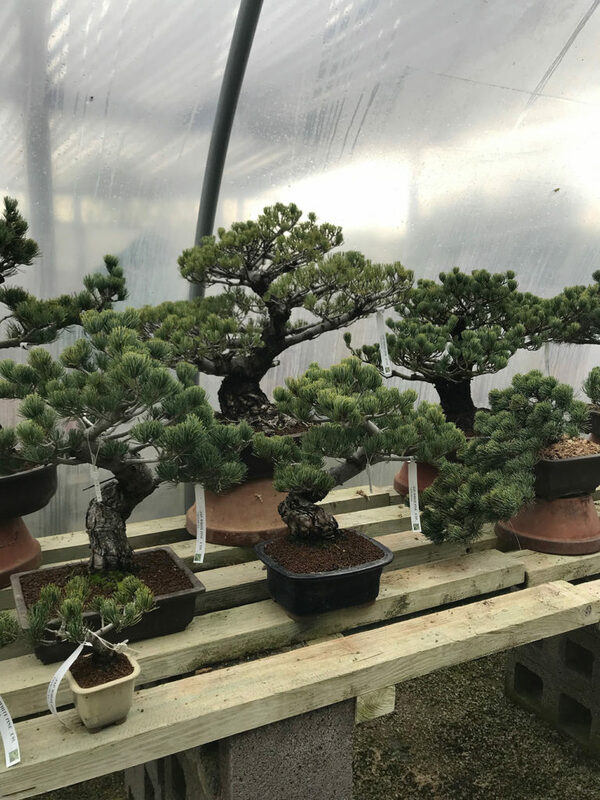 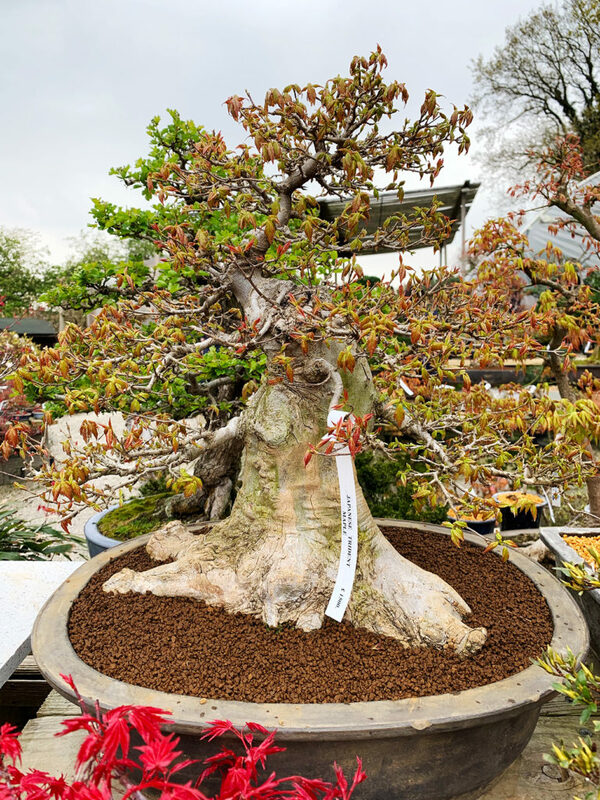 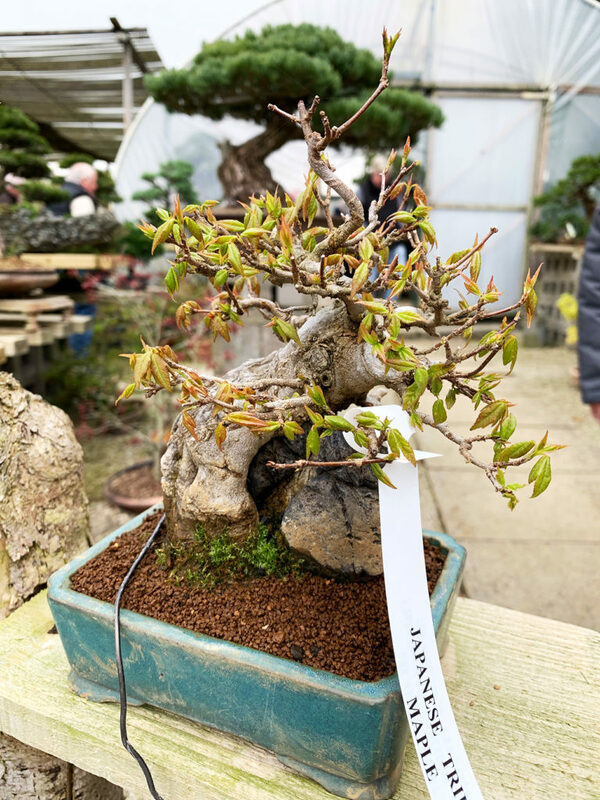 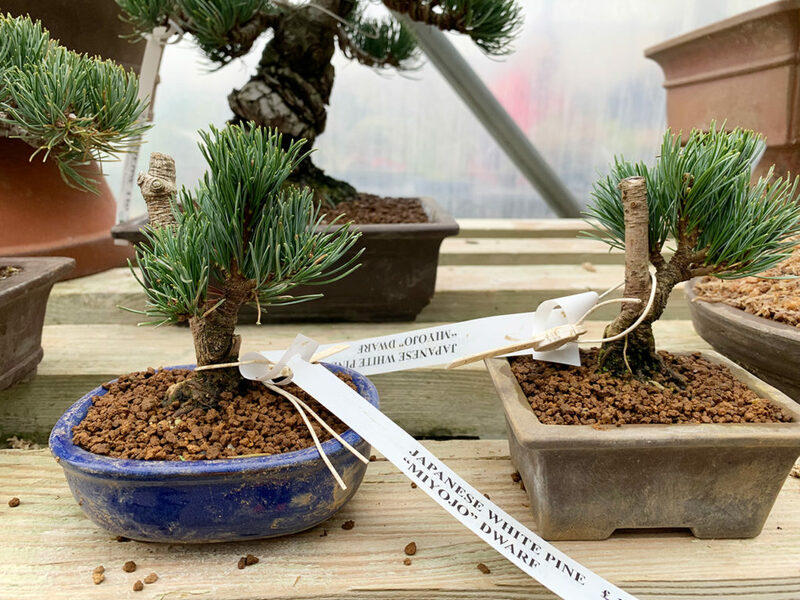 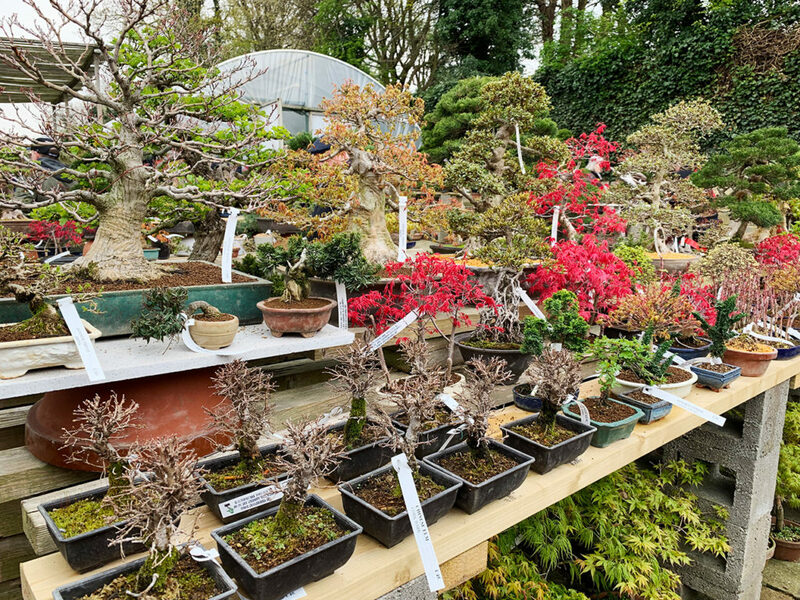 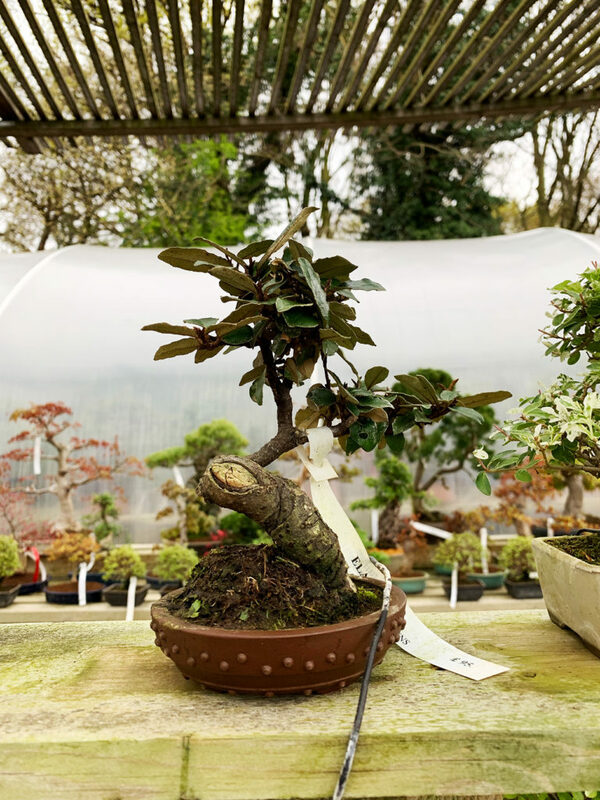 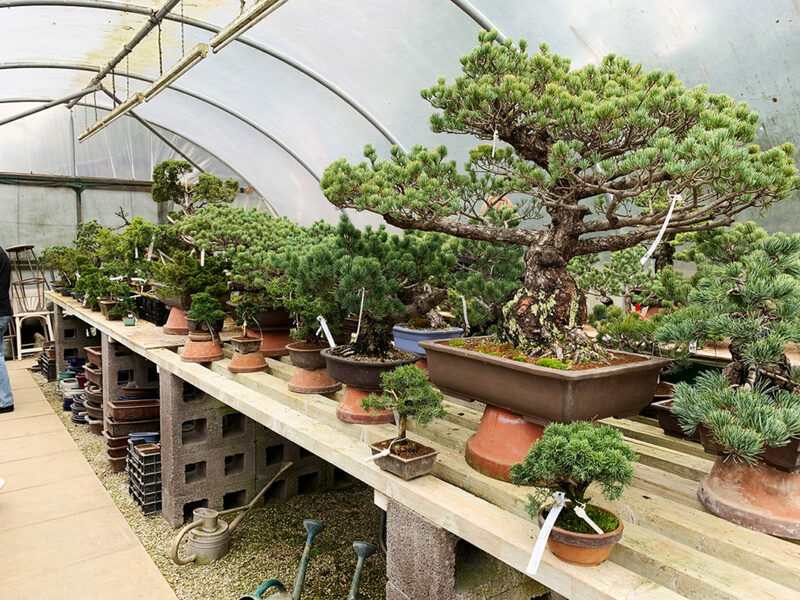 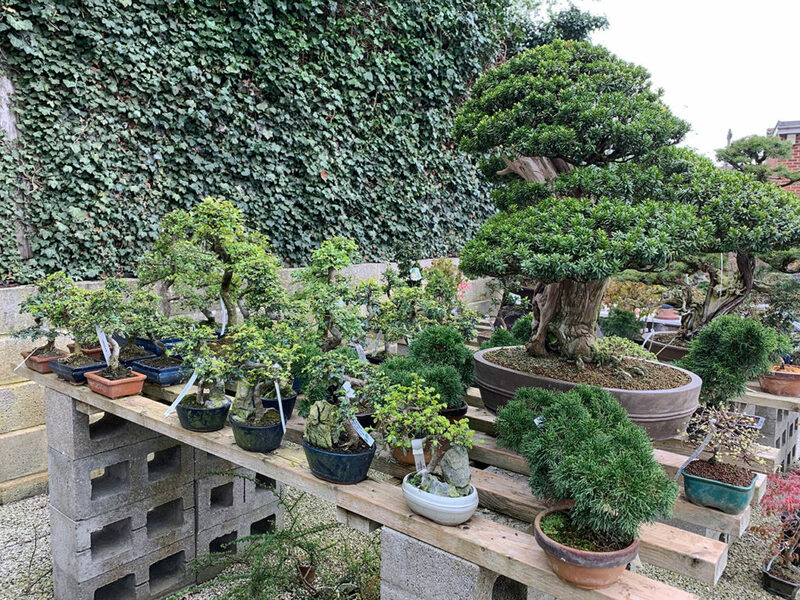 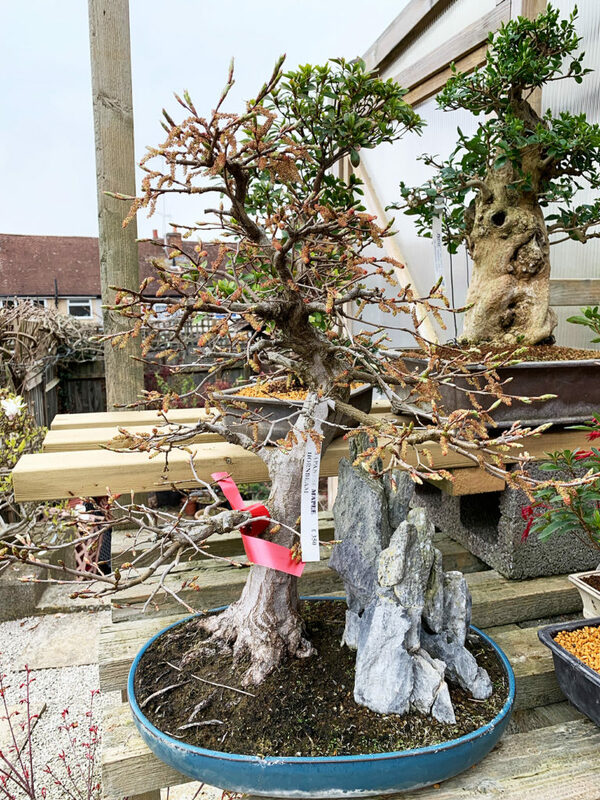 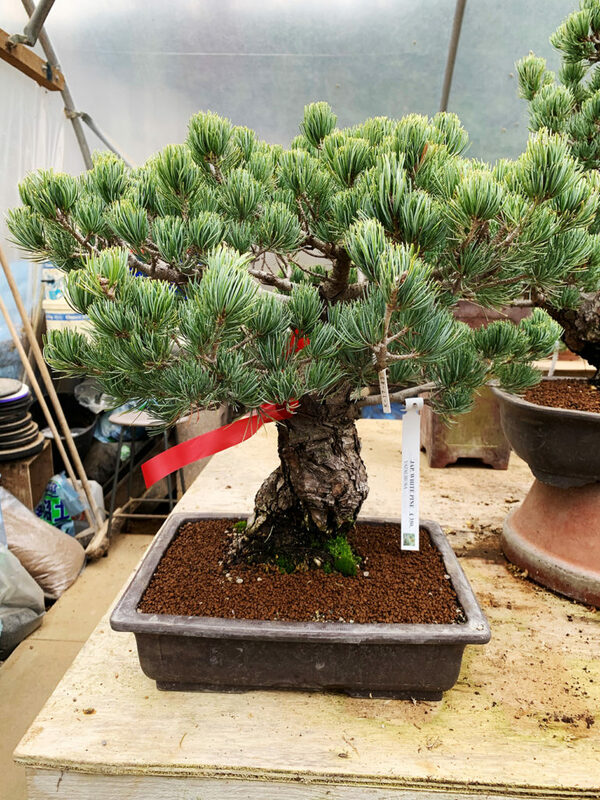 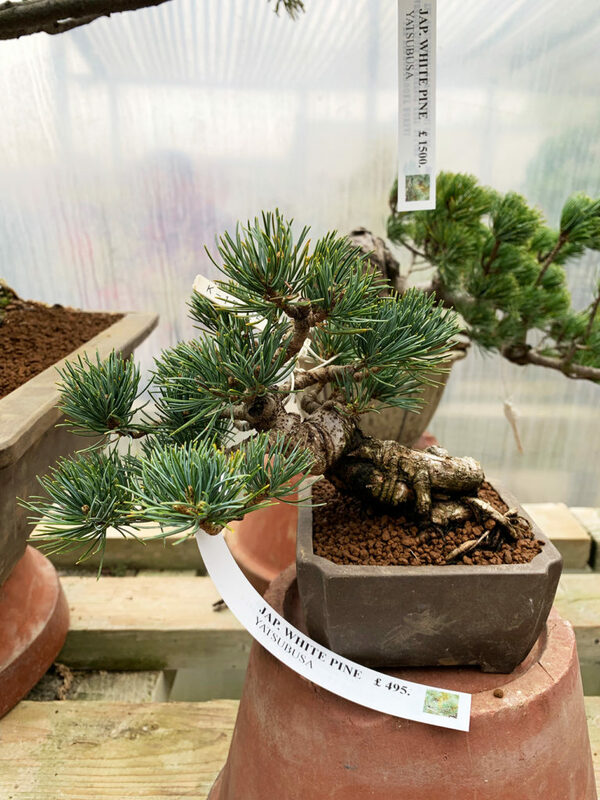 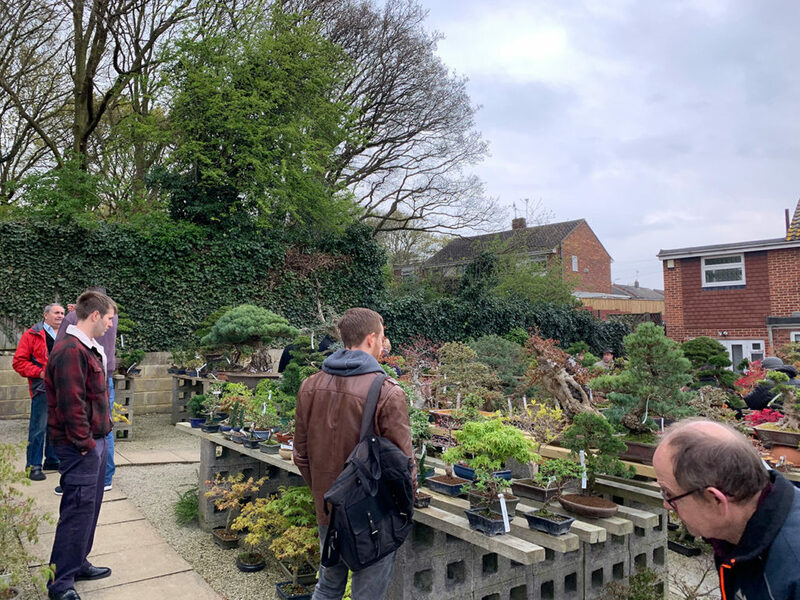 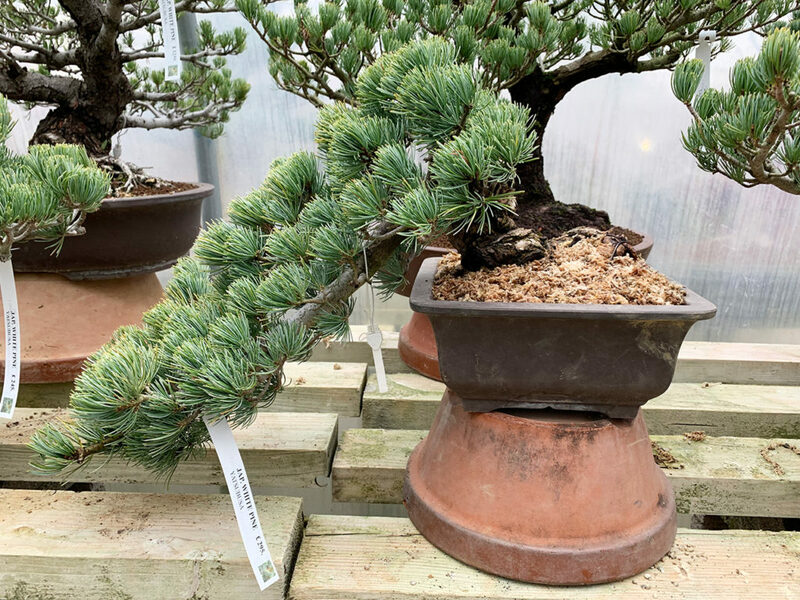 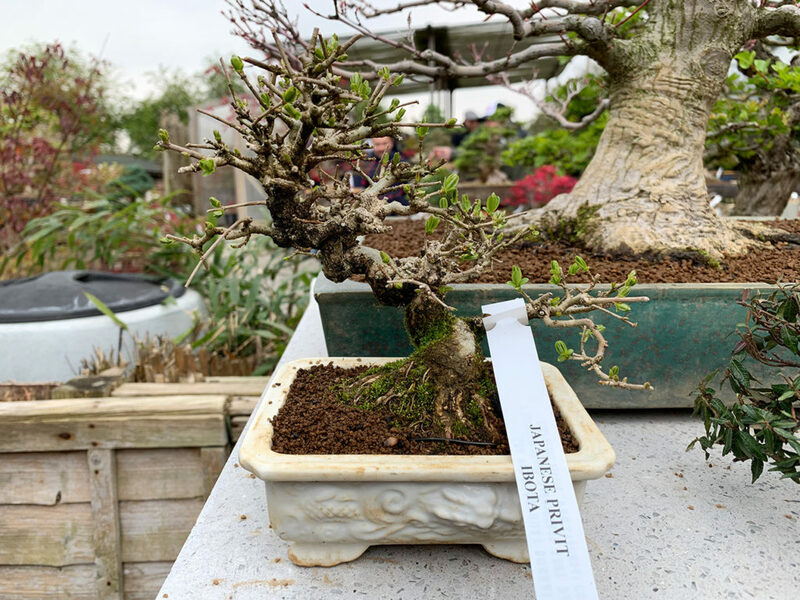 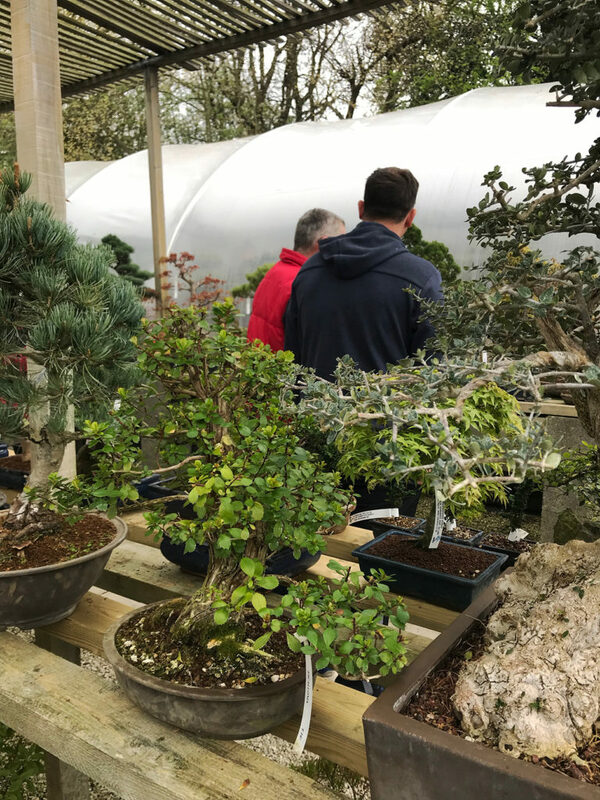 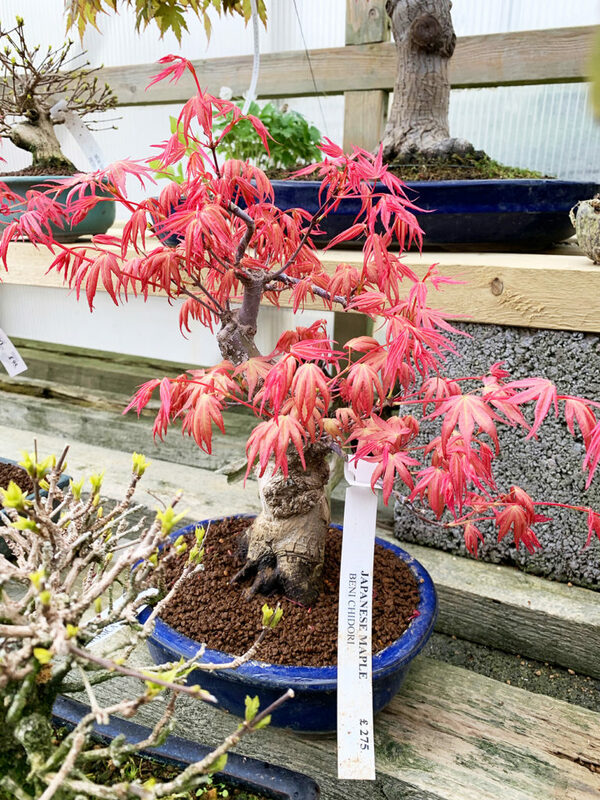 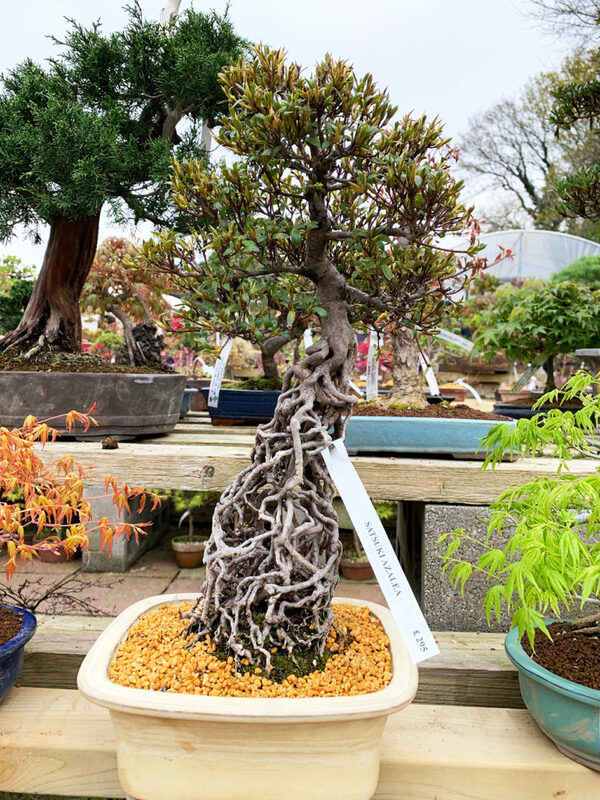 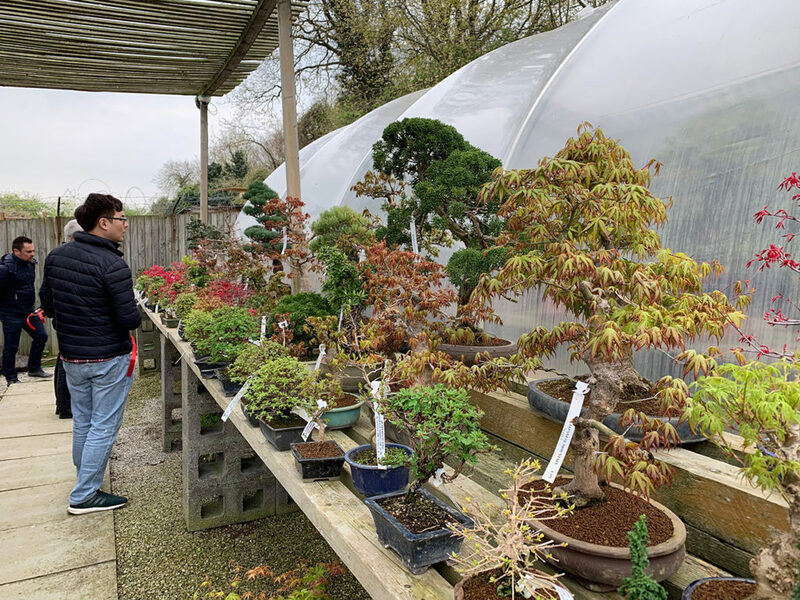 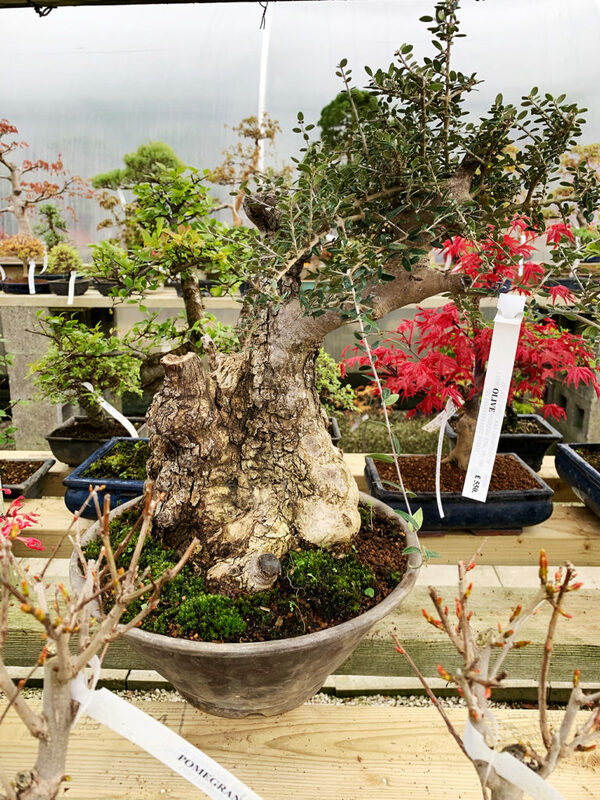 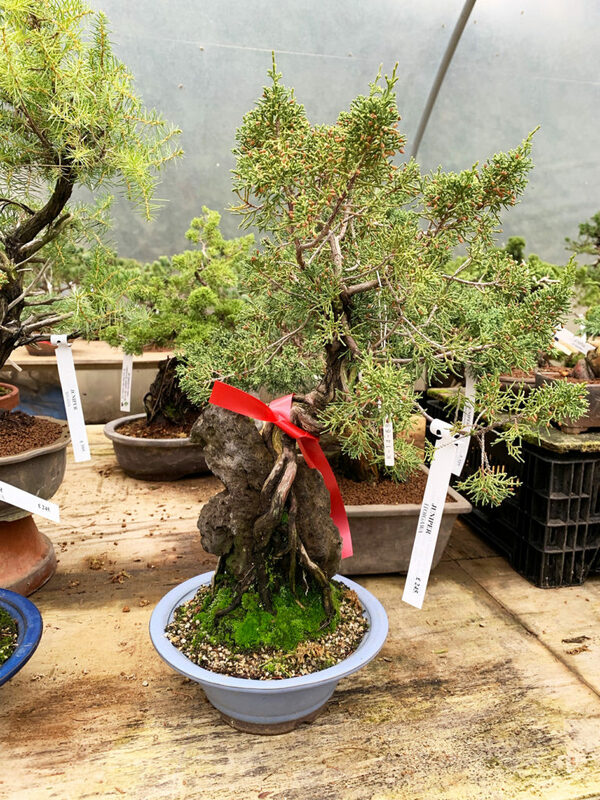 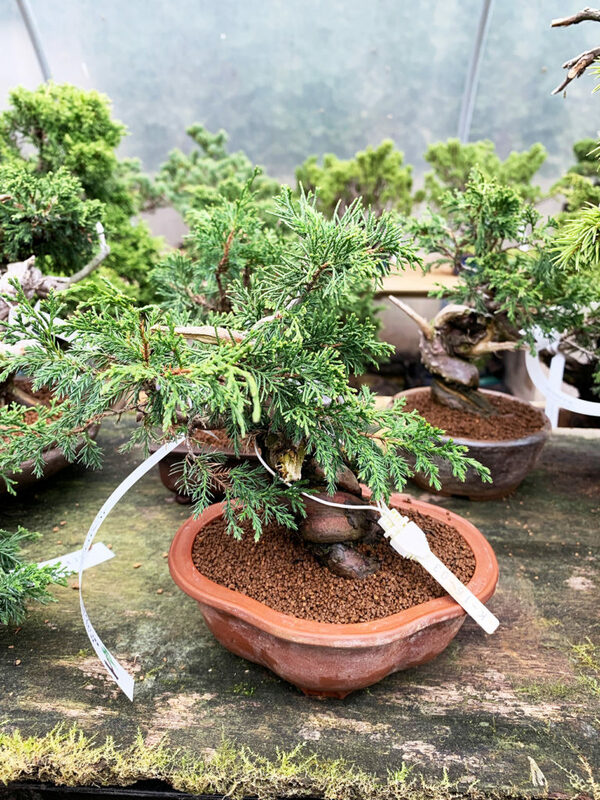 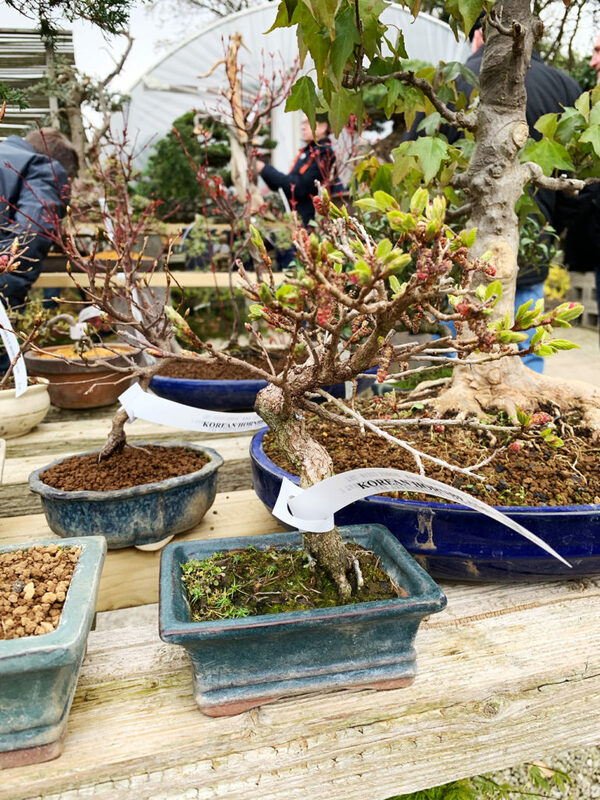 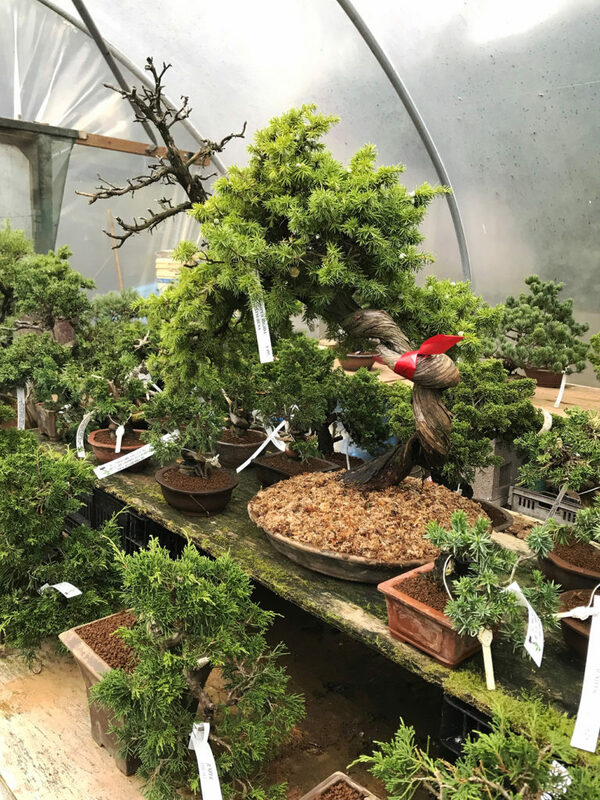 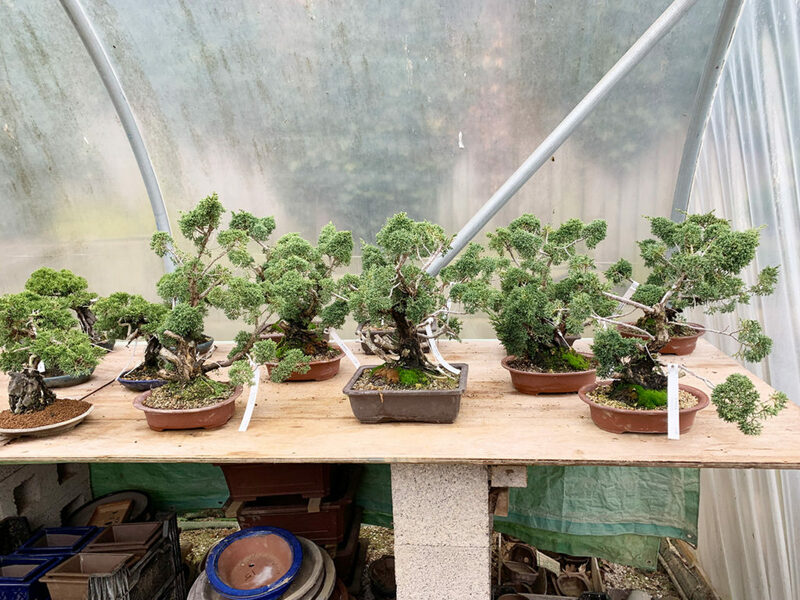 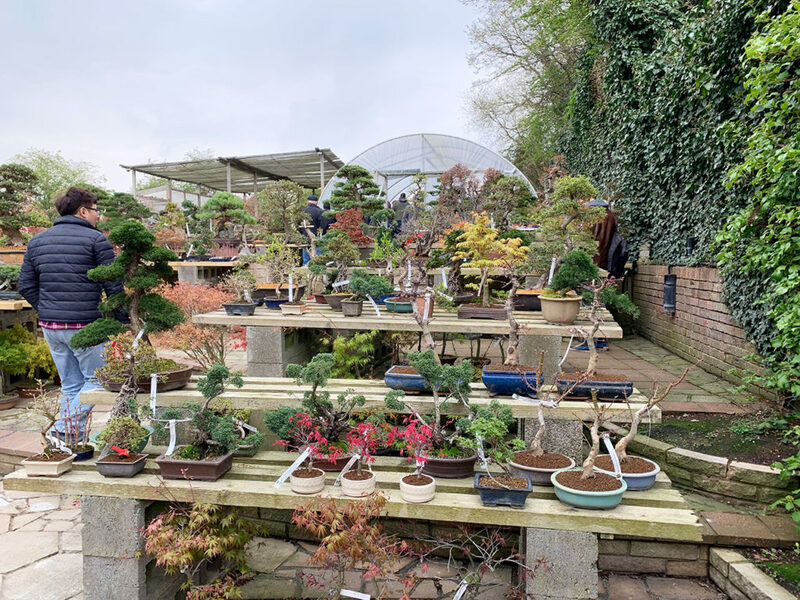 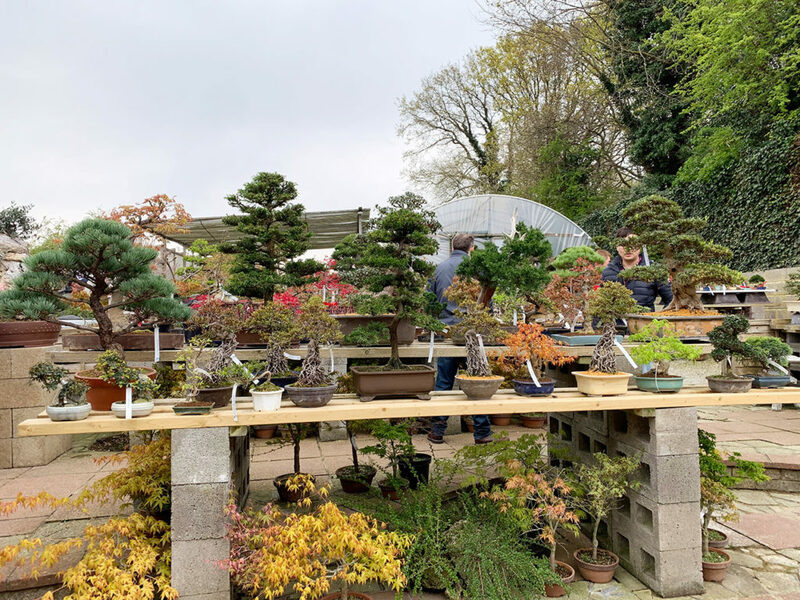 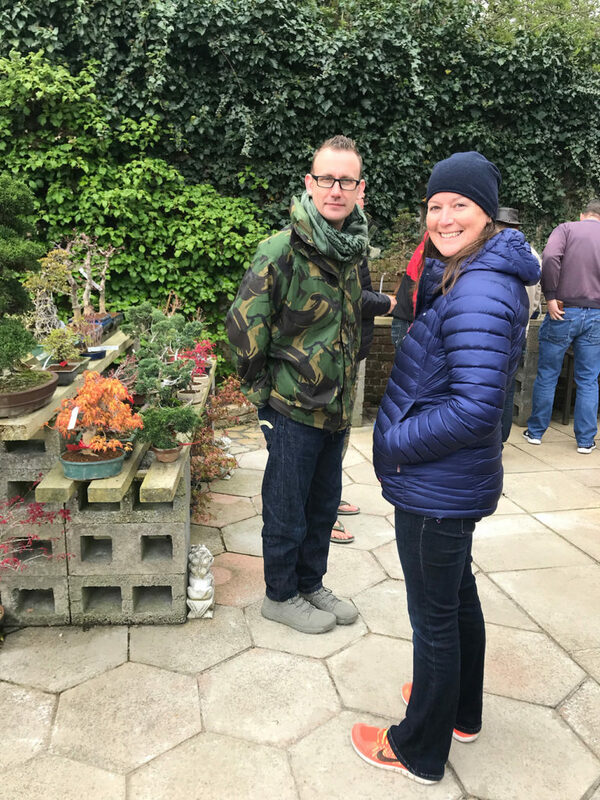 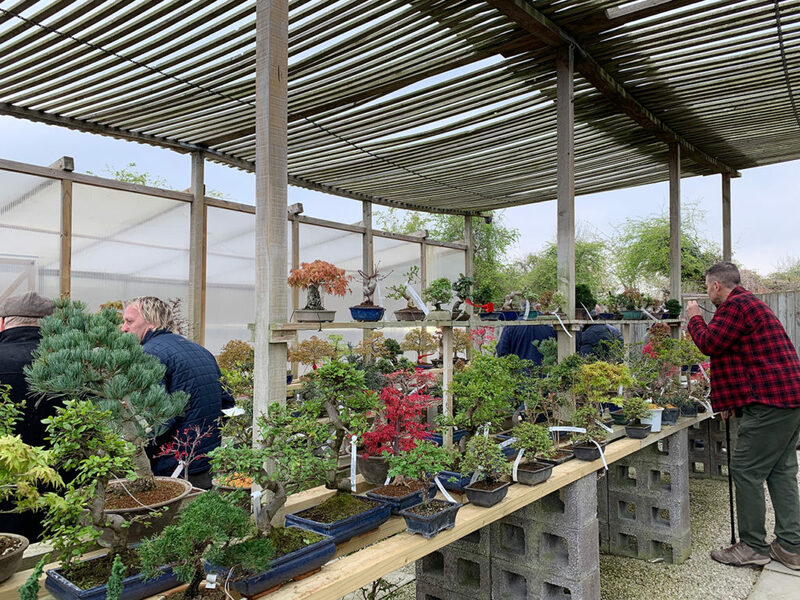 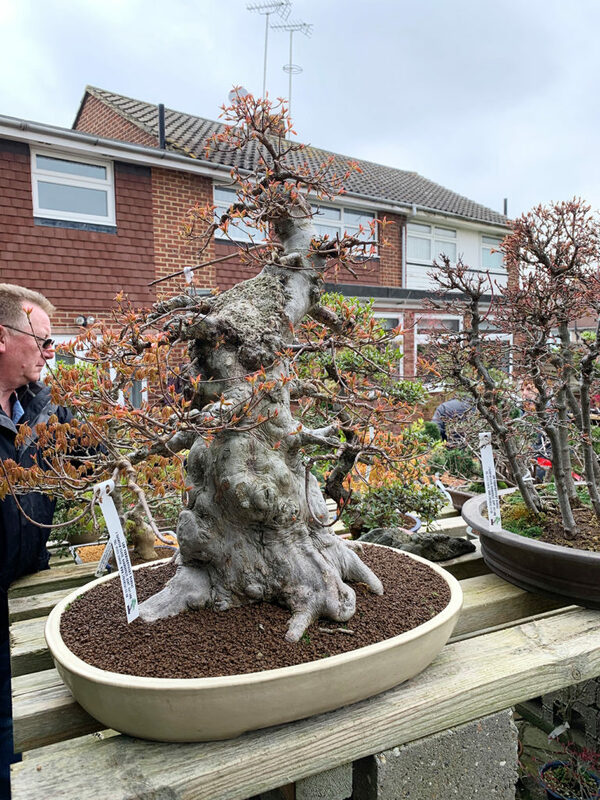 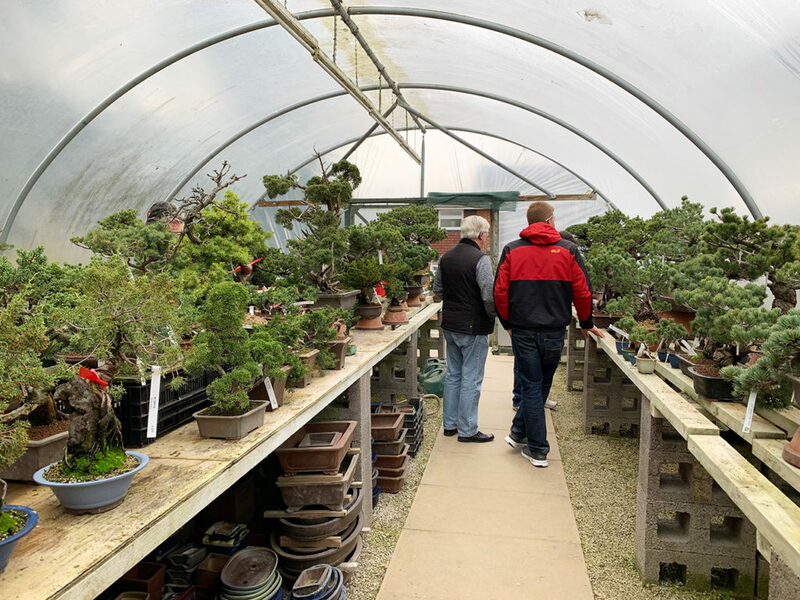 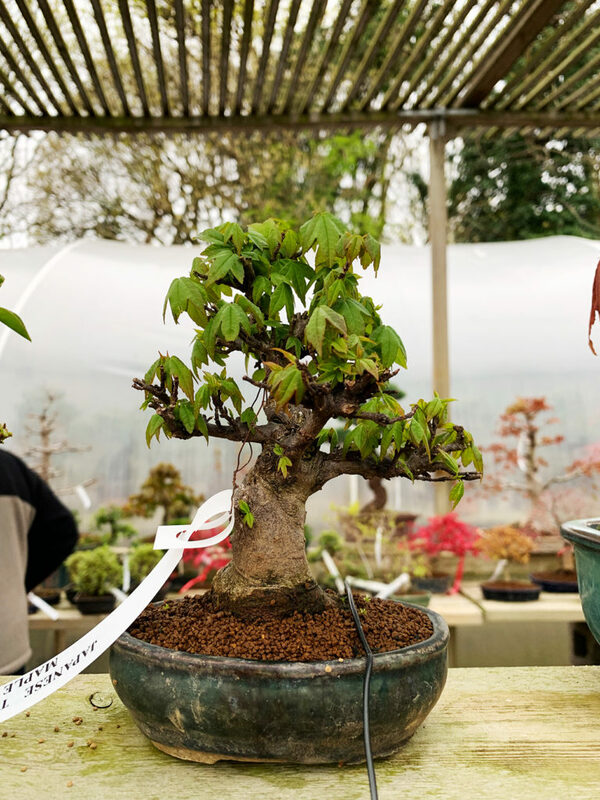 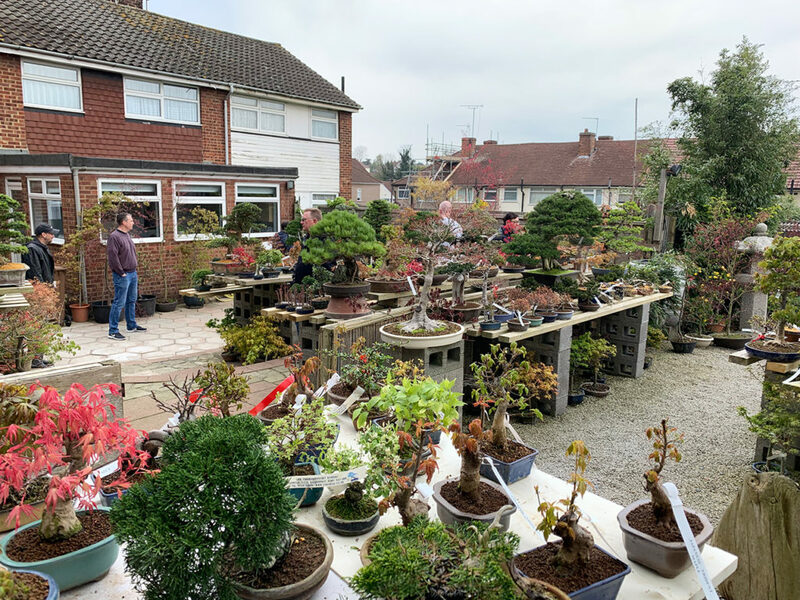 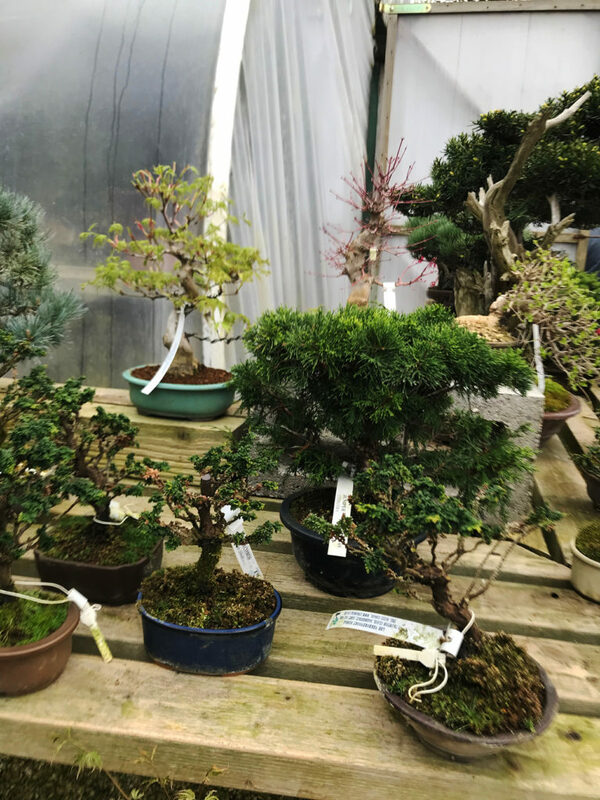 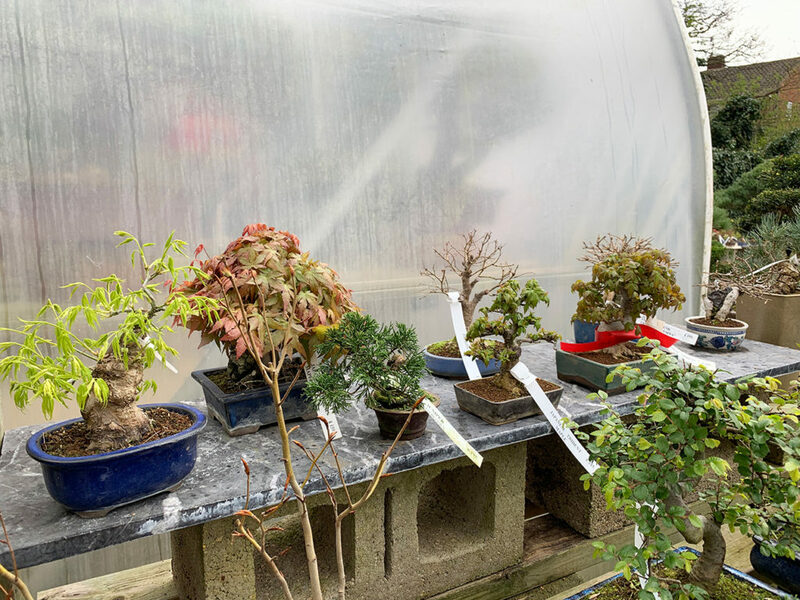 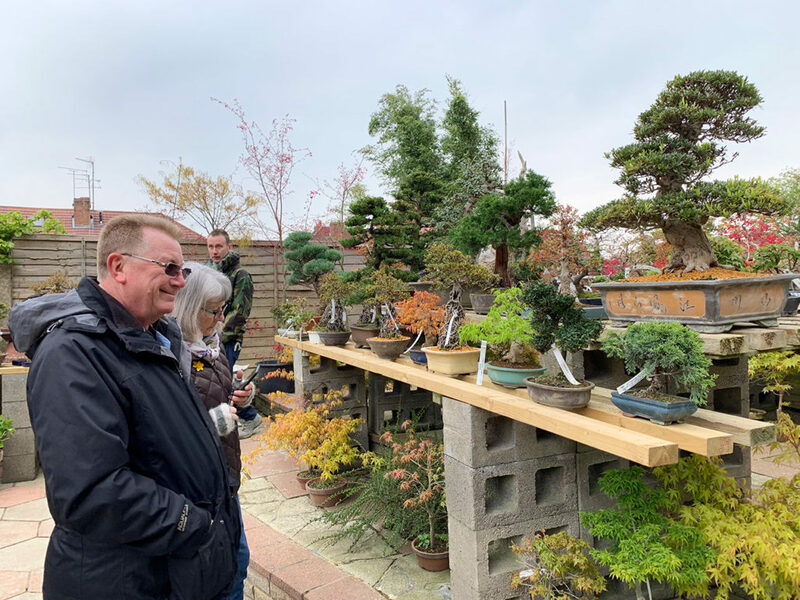 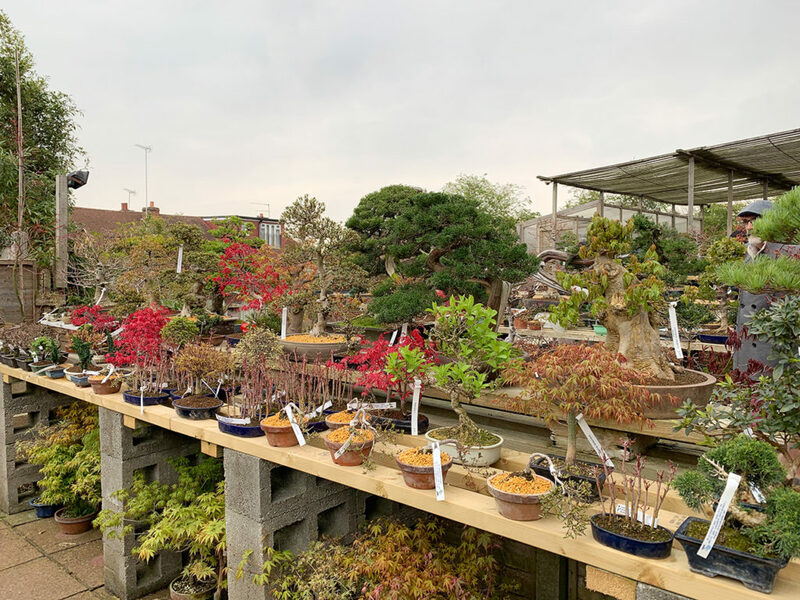 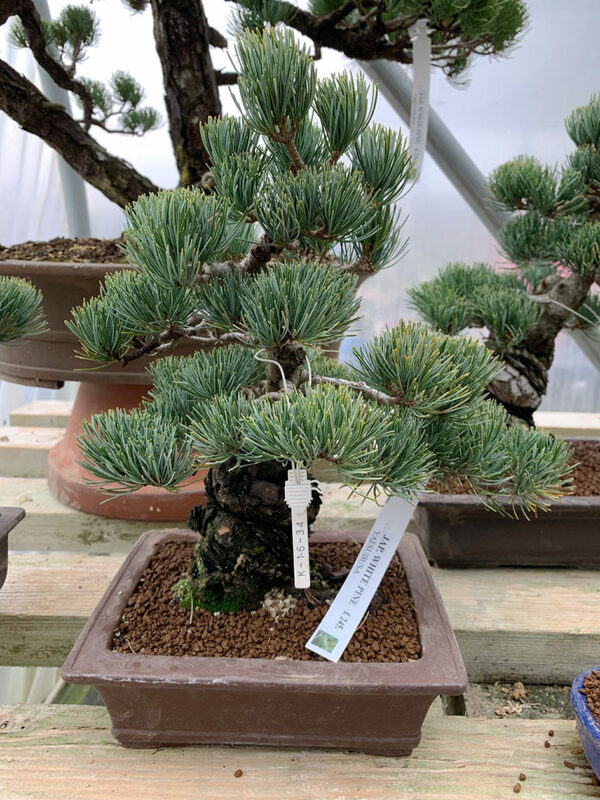 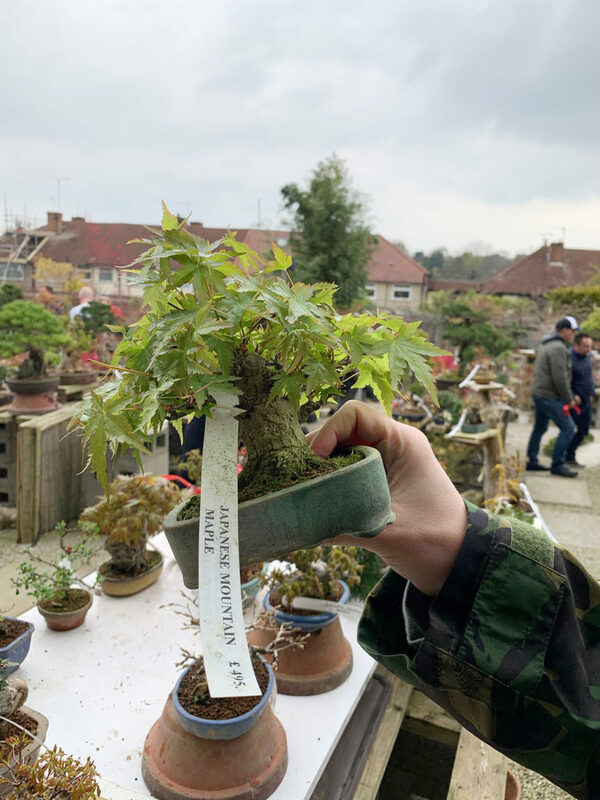 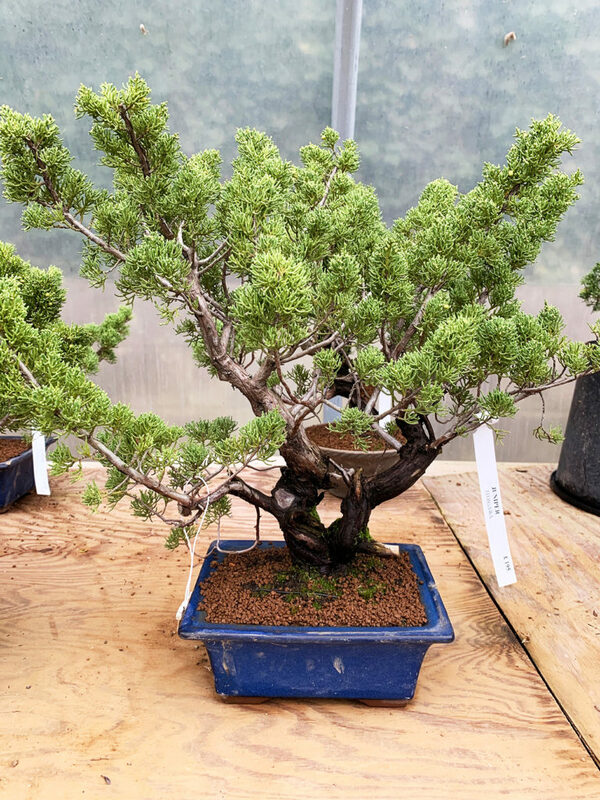 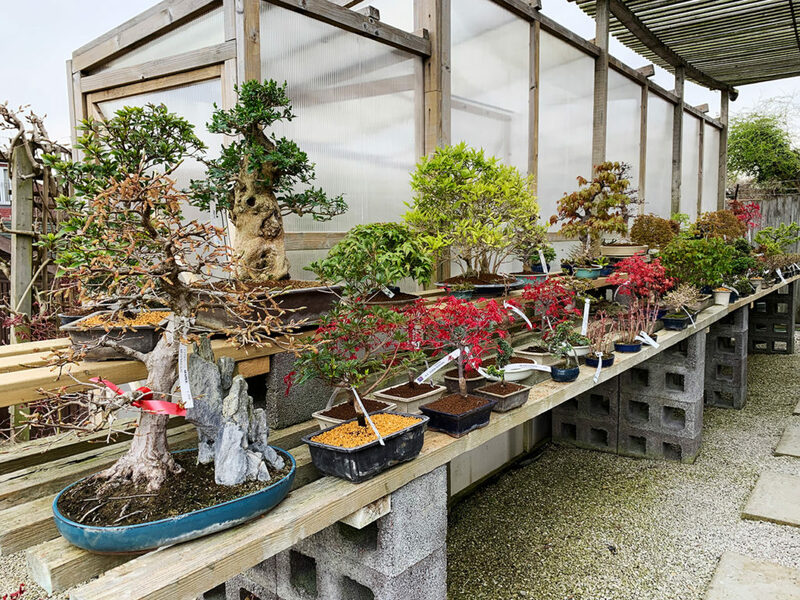 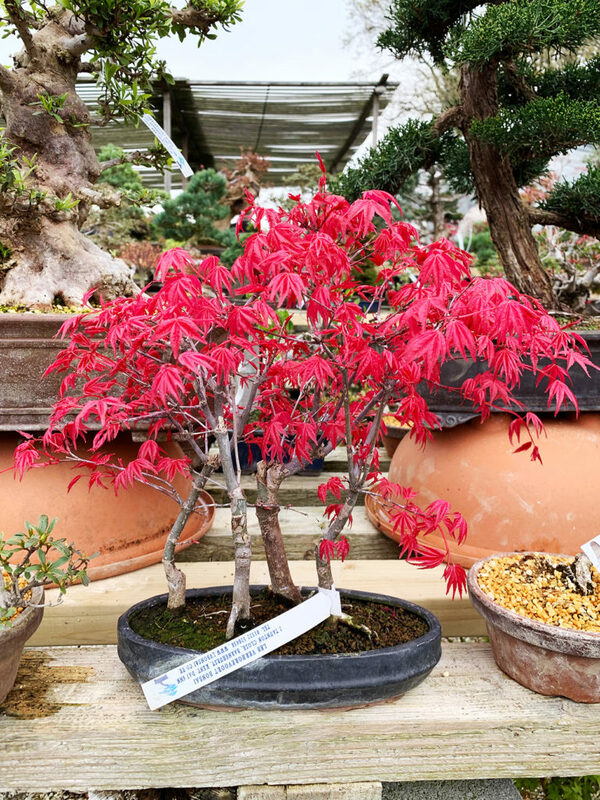 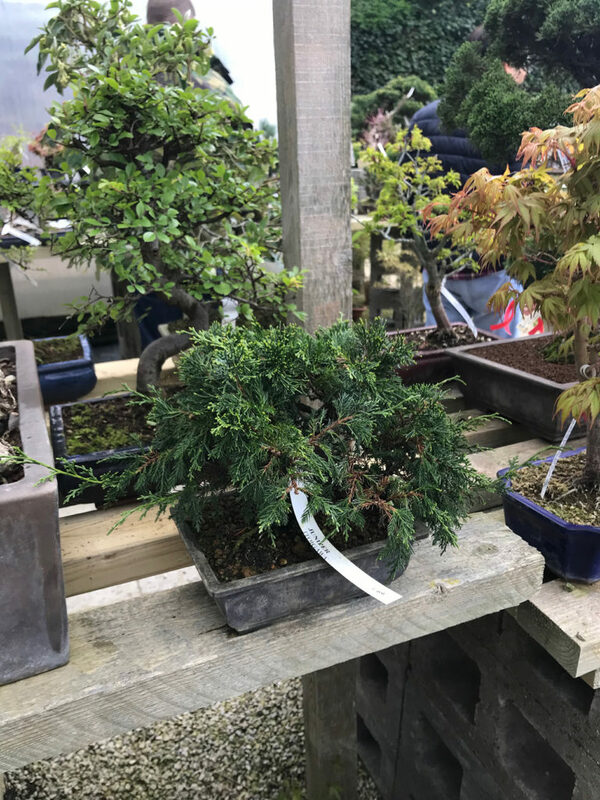 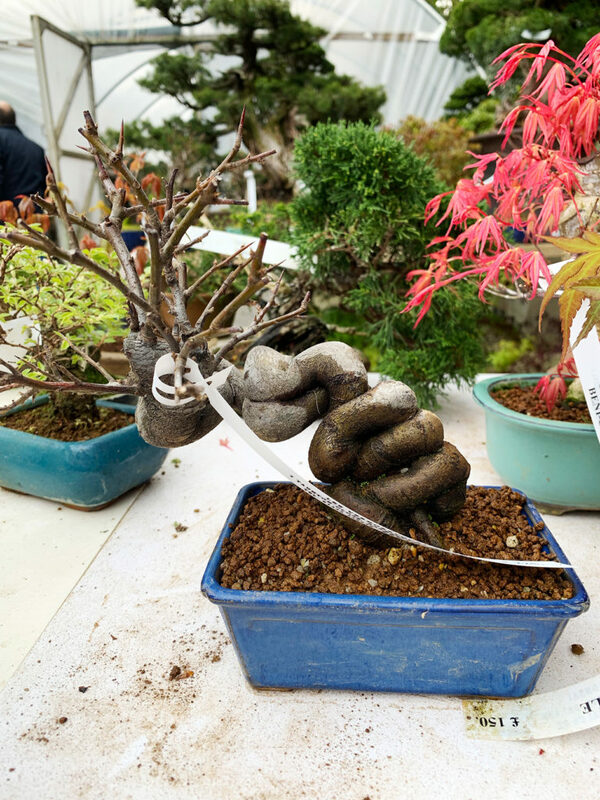 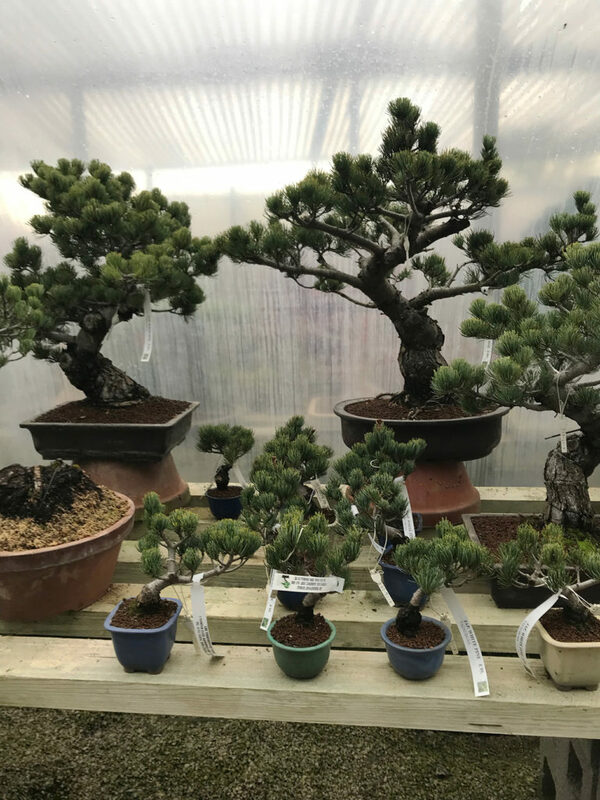 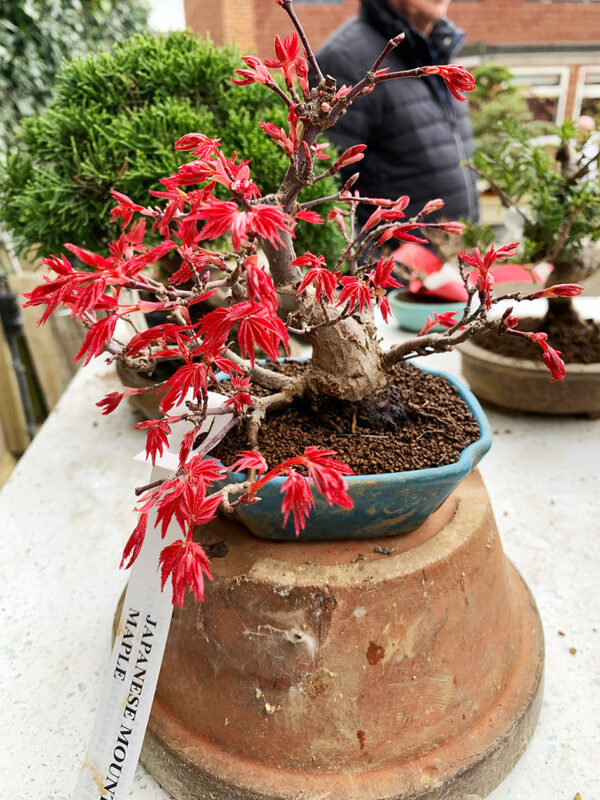 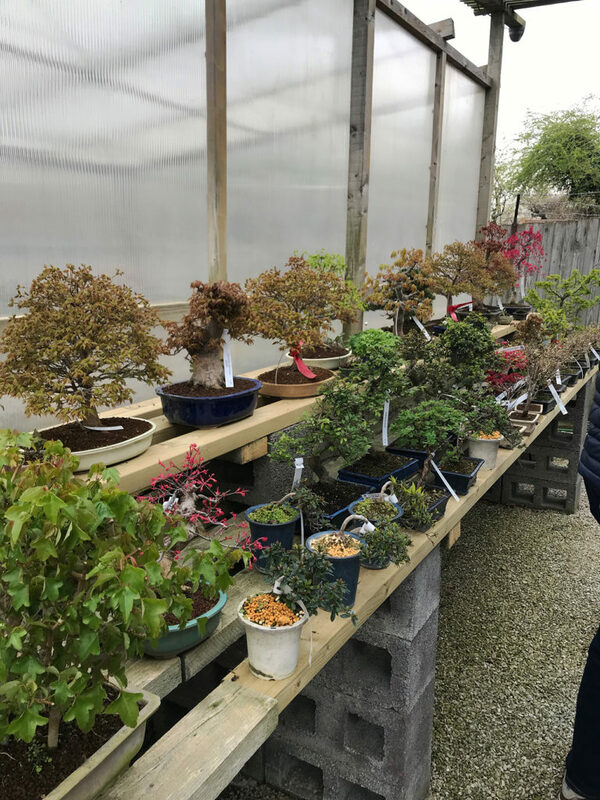 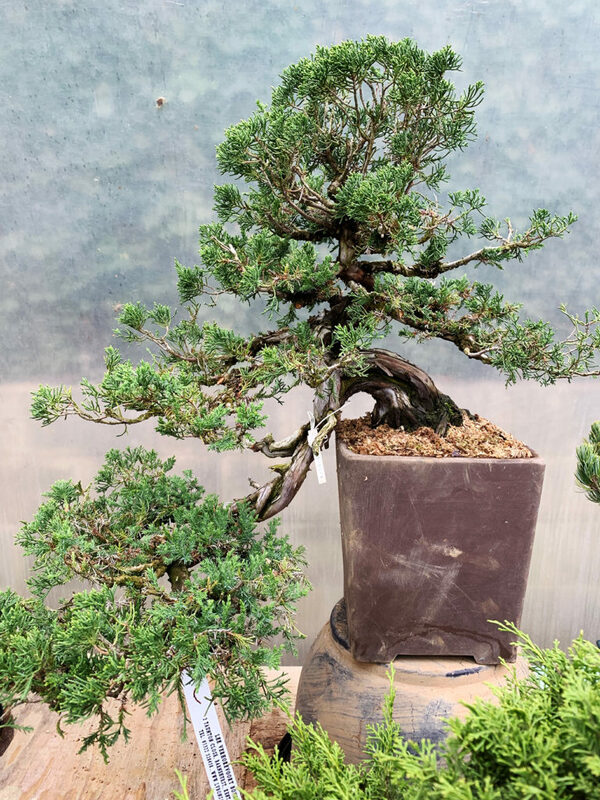 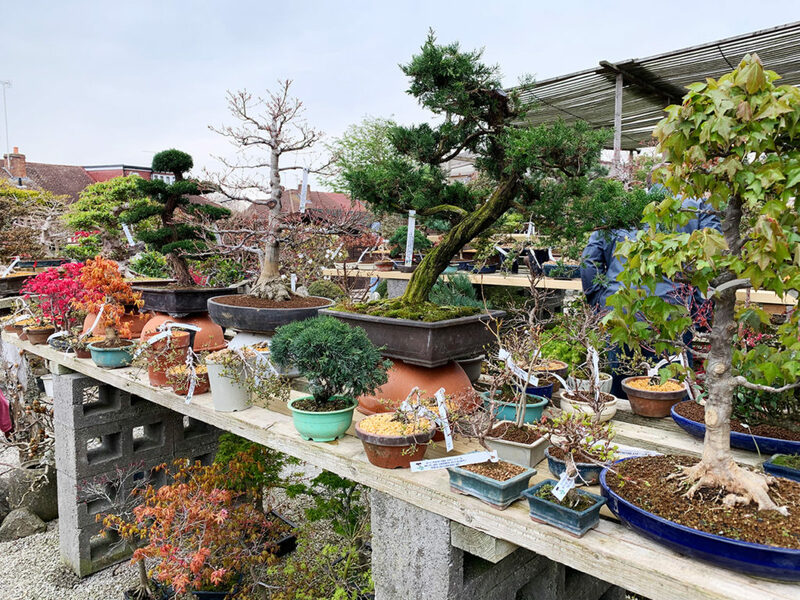 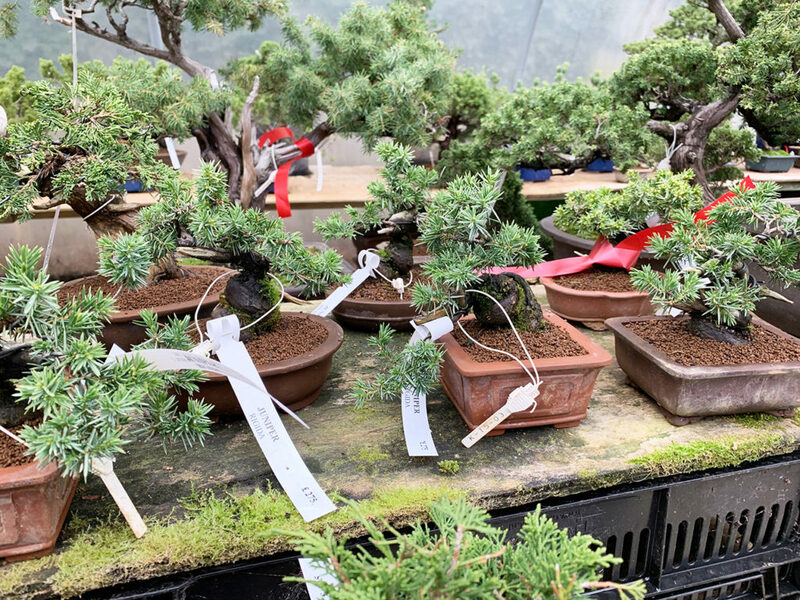 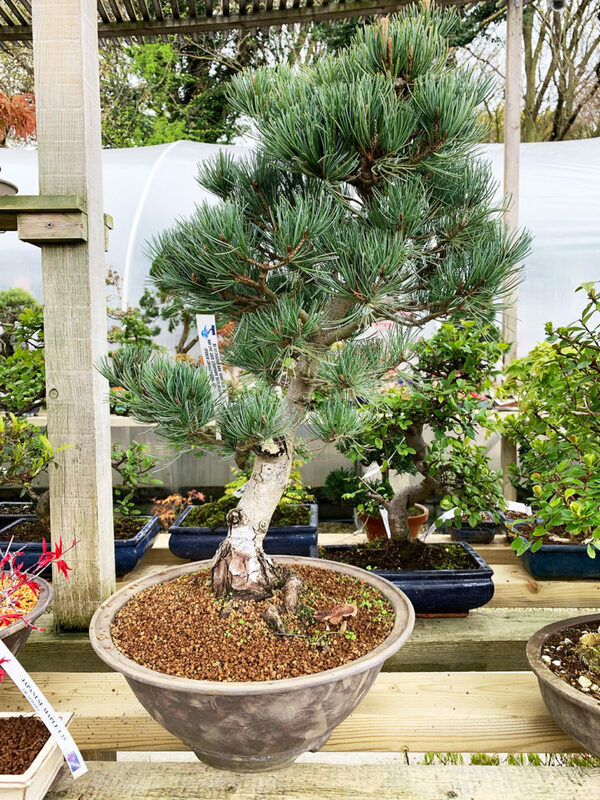 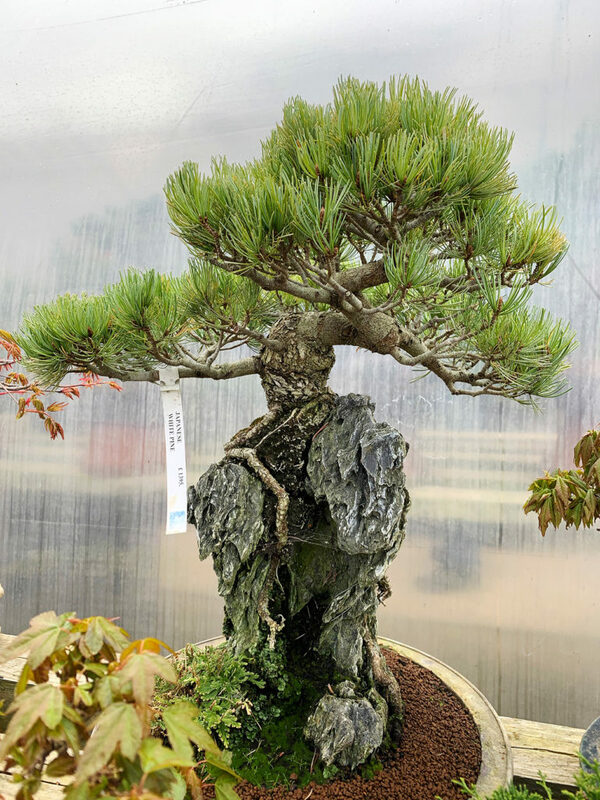 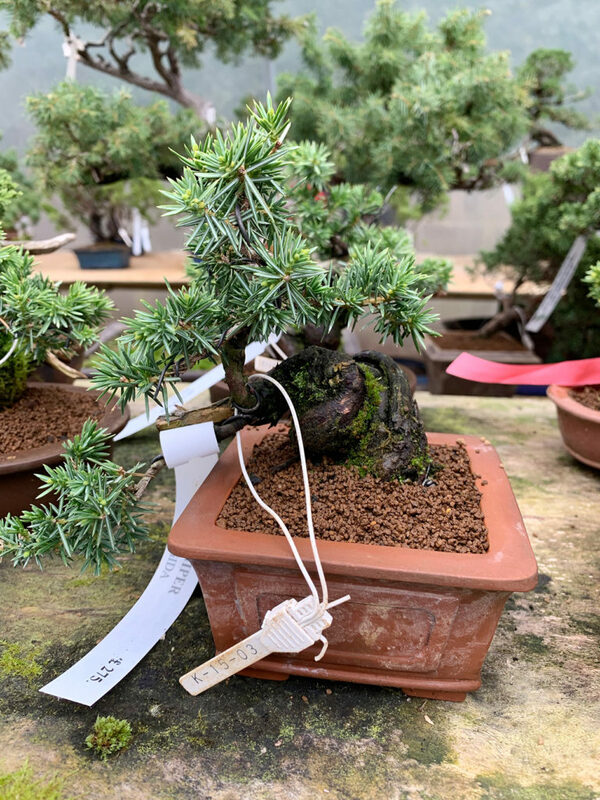 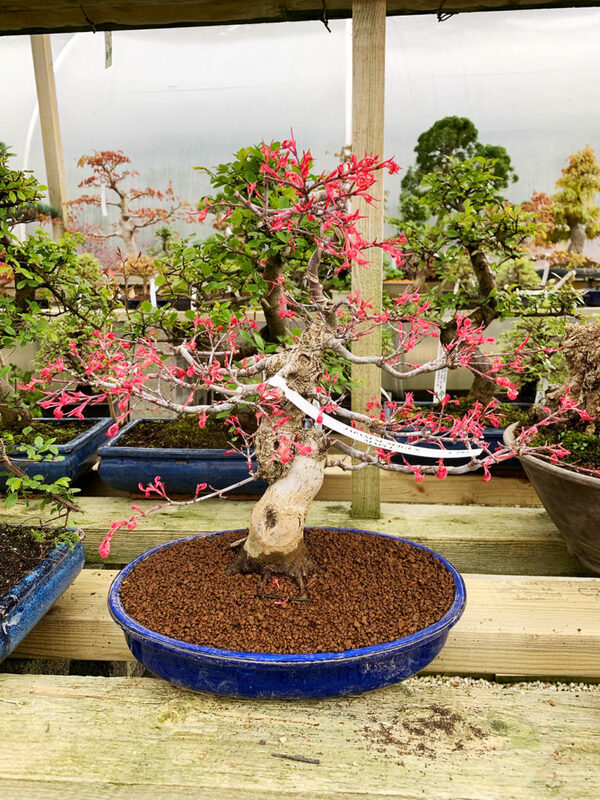 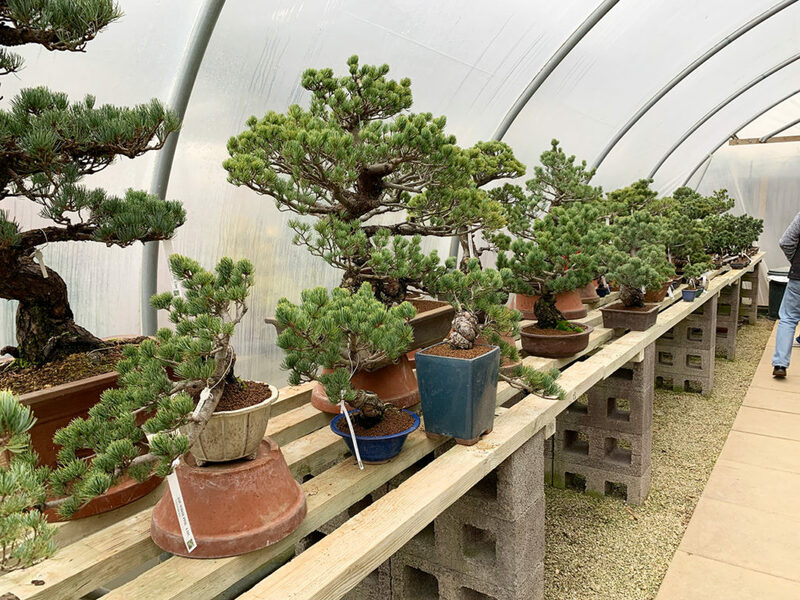 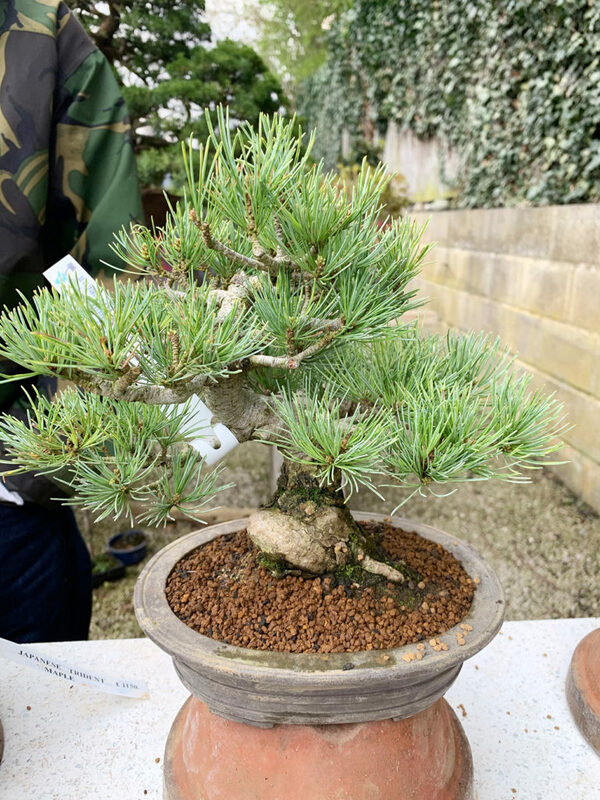 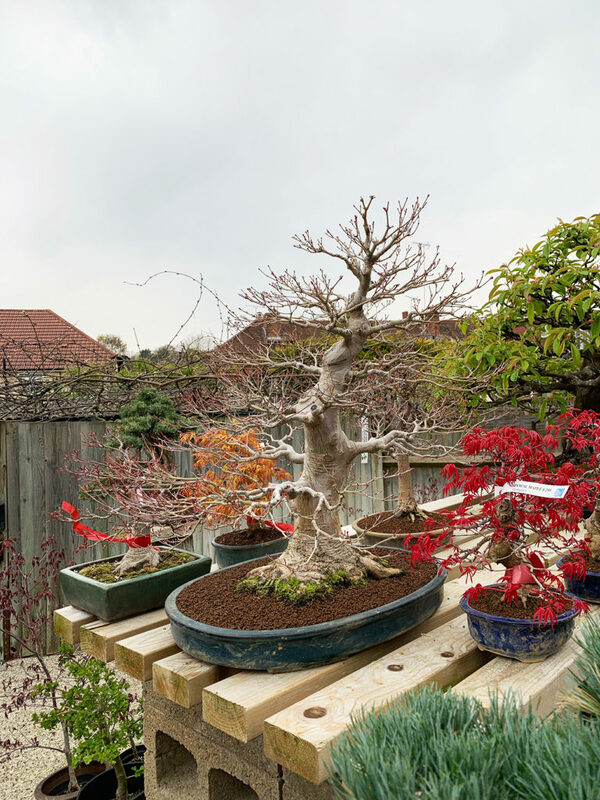 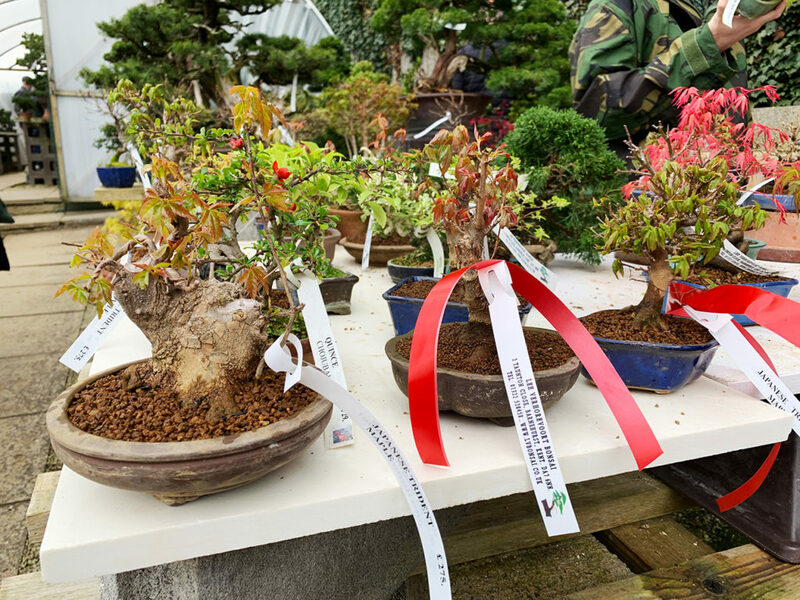 What a treat, some stunning bonsai trees were on show and available to buy of all shapes, sizes and quality and after much deliberation we all managed to make our final selections before heading on our way with new trees for our collections. 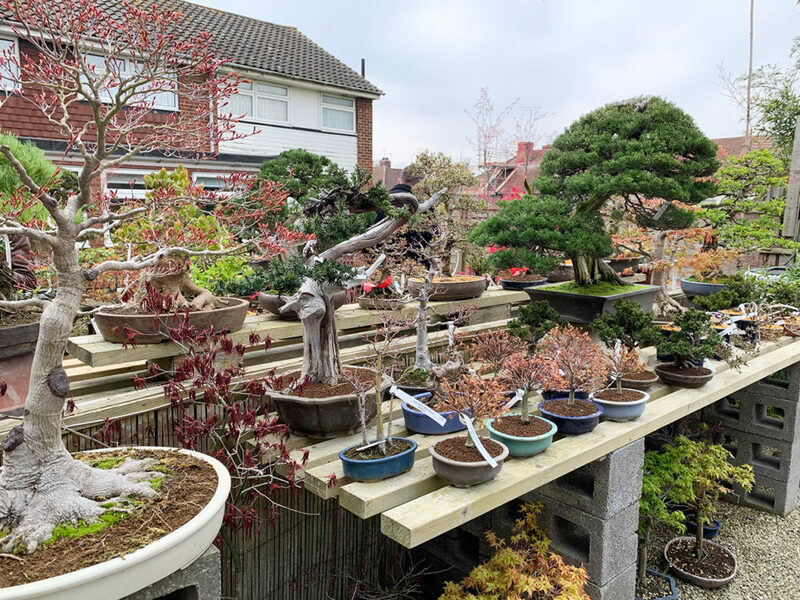 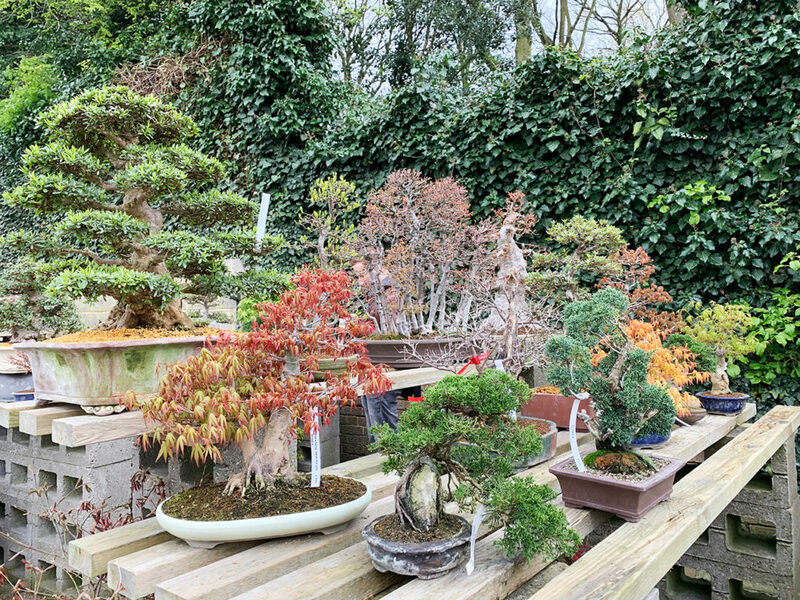 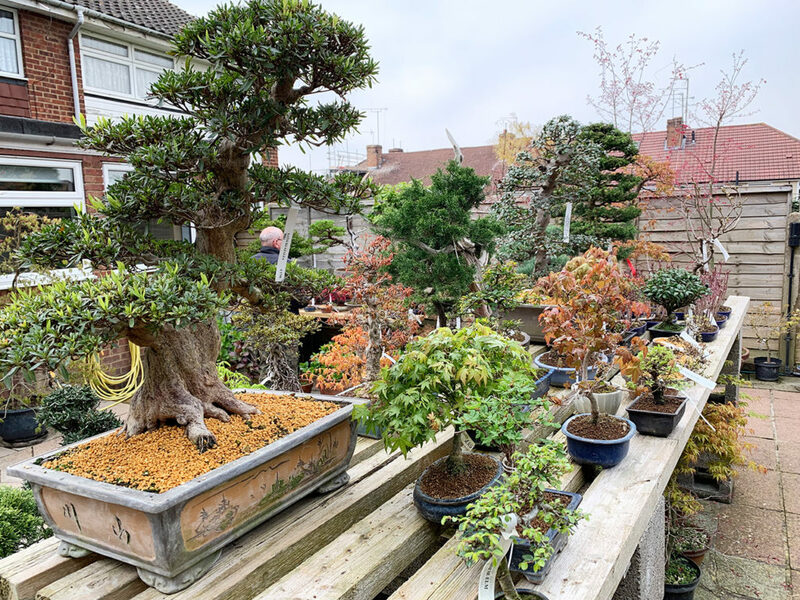 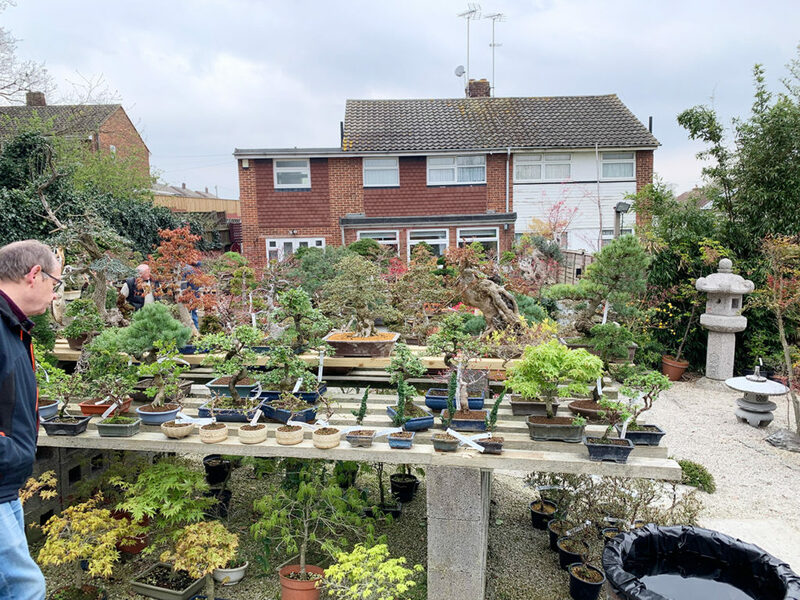 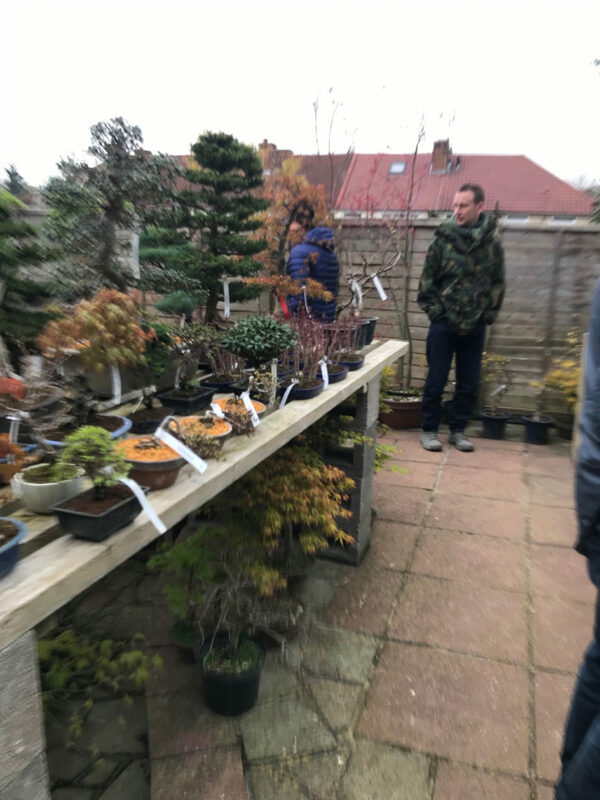 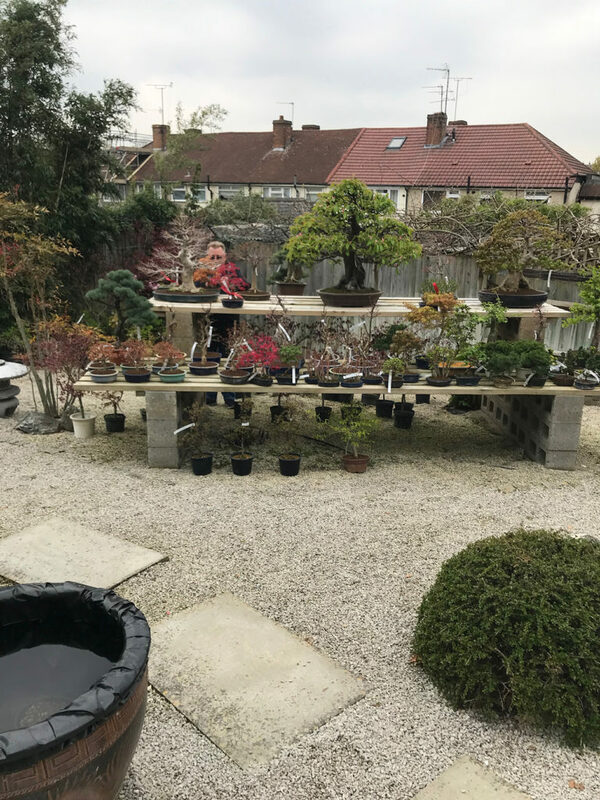 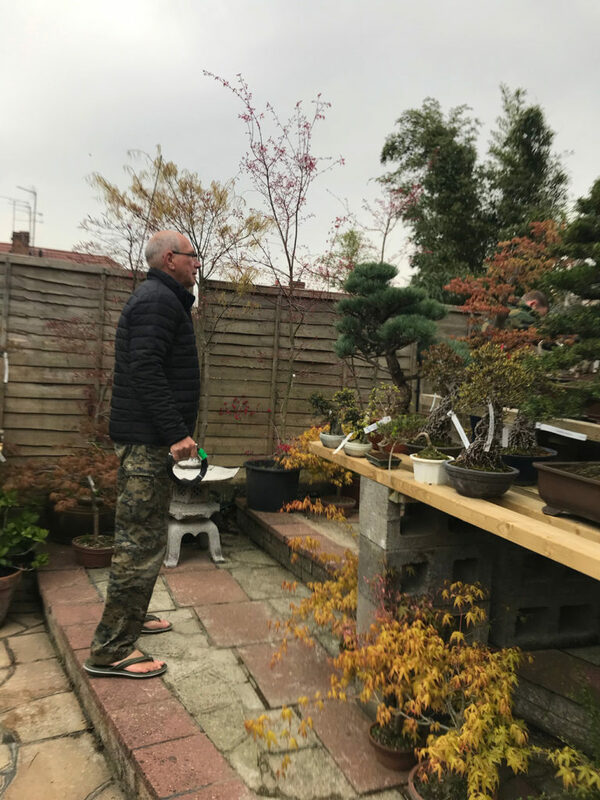 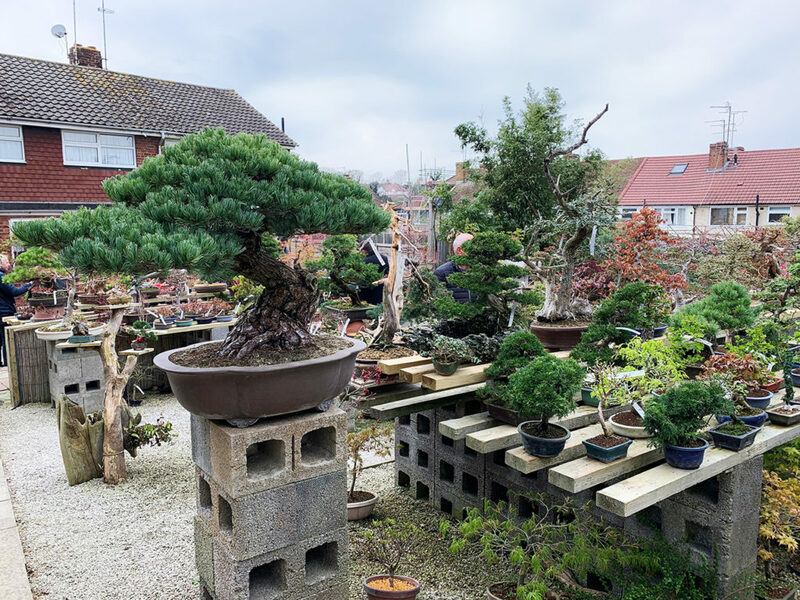 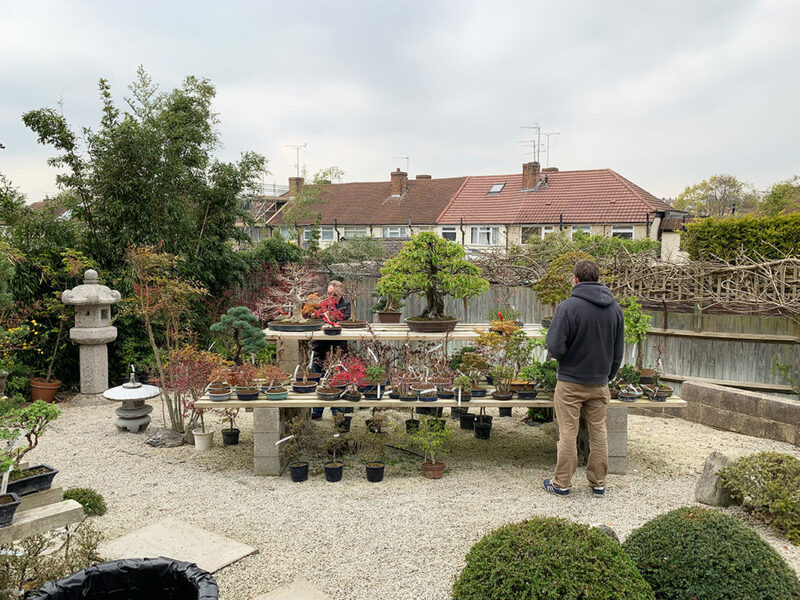 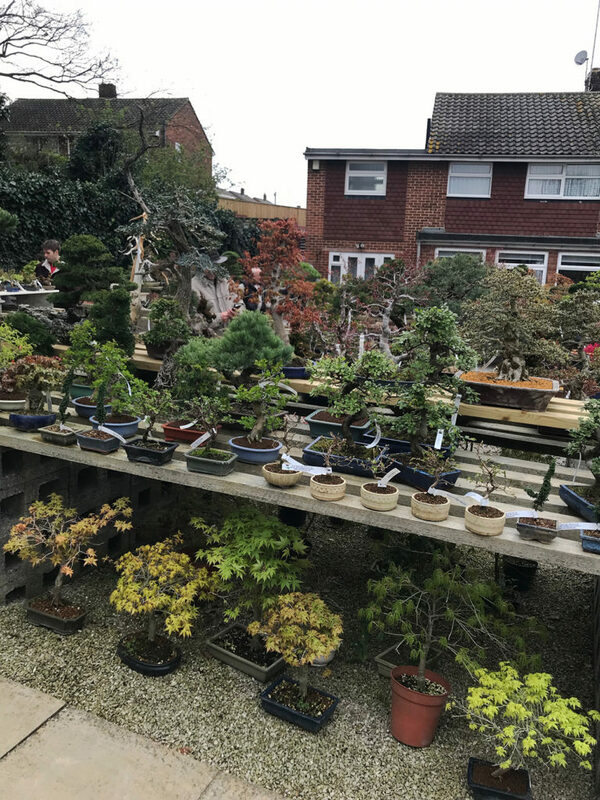 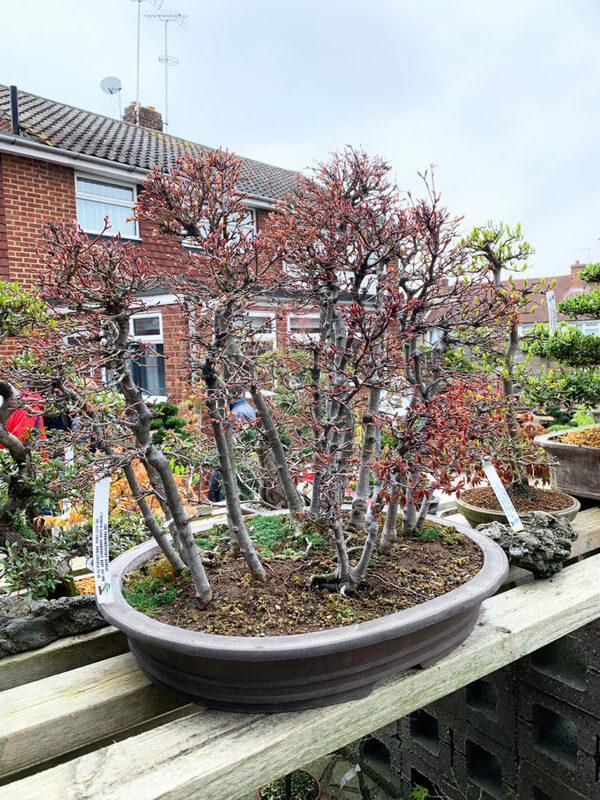 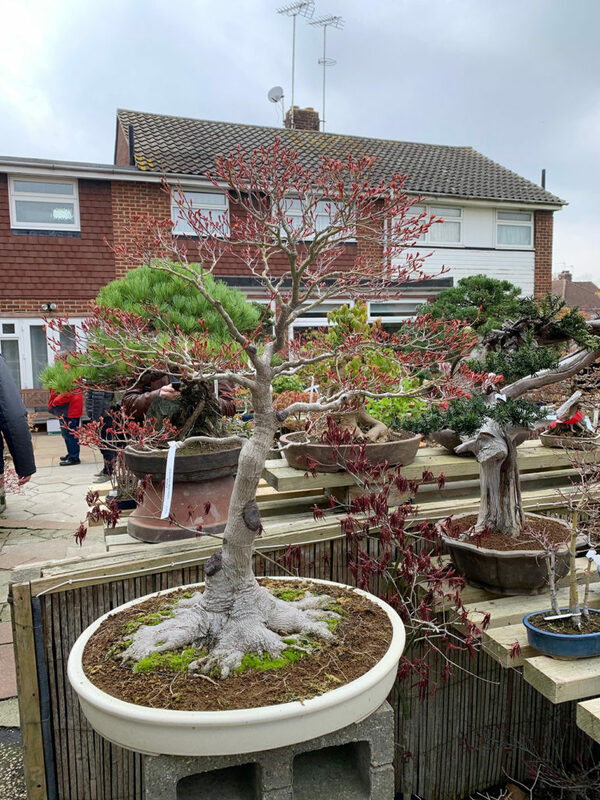 It was a great early morning out and well worth a visit to LV Bonsai if you have not been, just get in touch with Lee and he will be able to advise you on bonsai tree species and styles and so much more as his knowledge and enthusiasm for bonsai in endless. 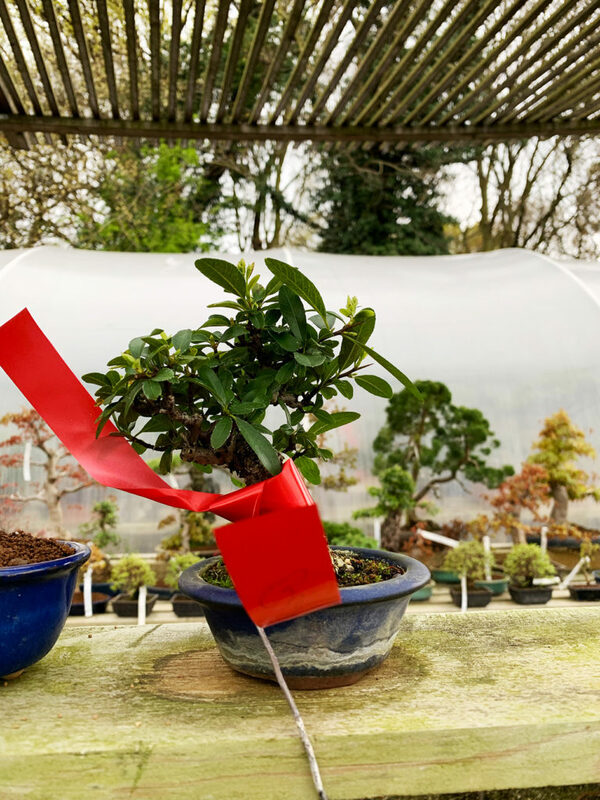 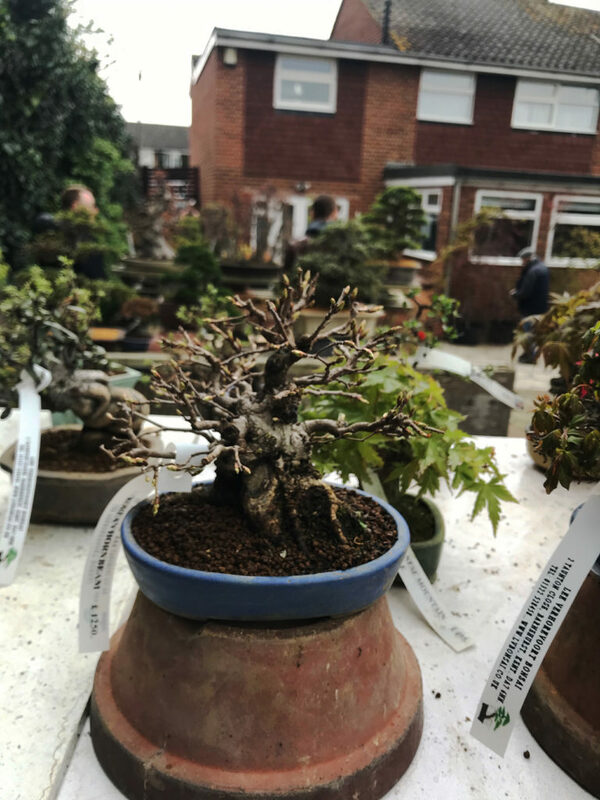 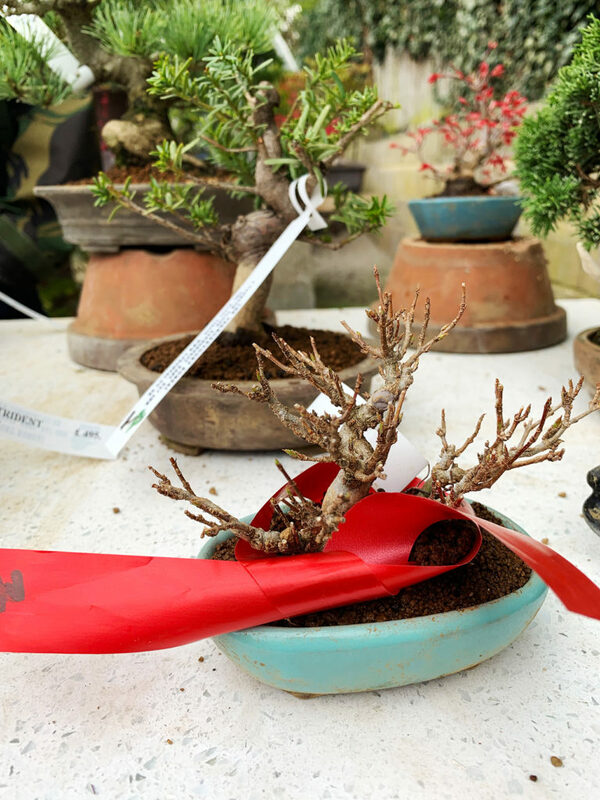 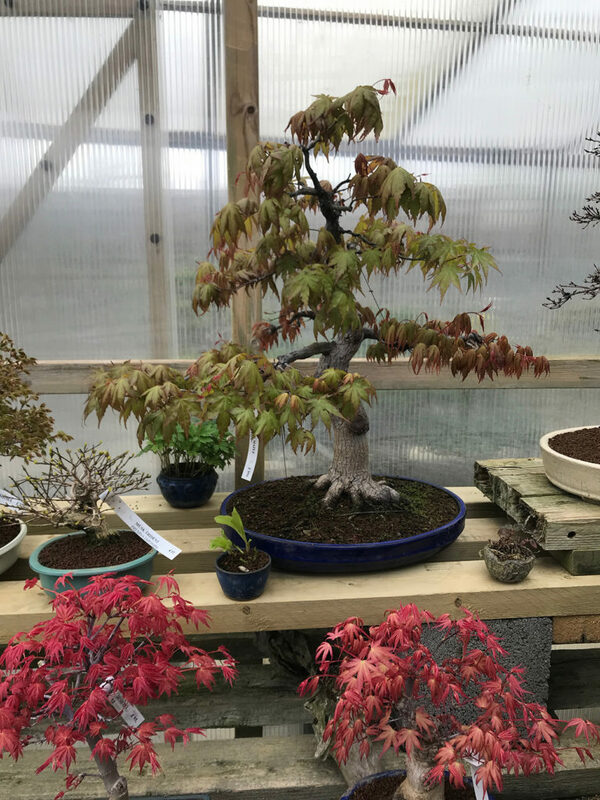 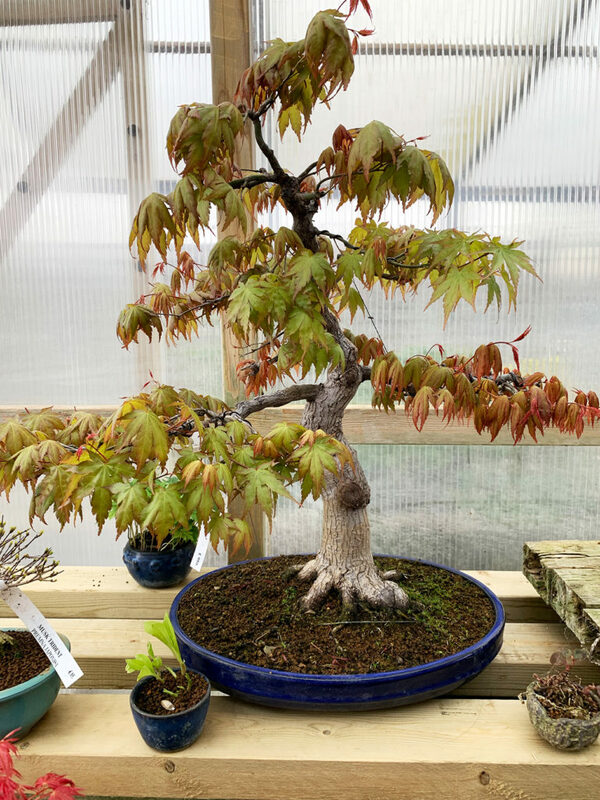 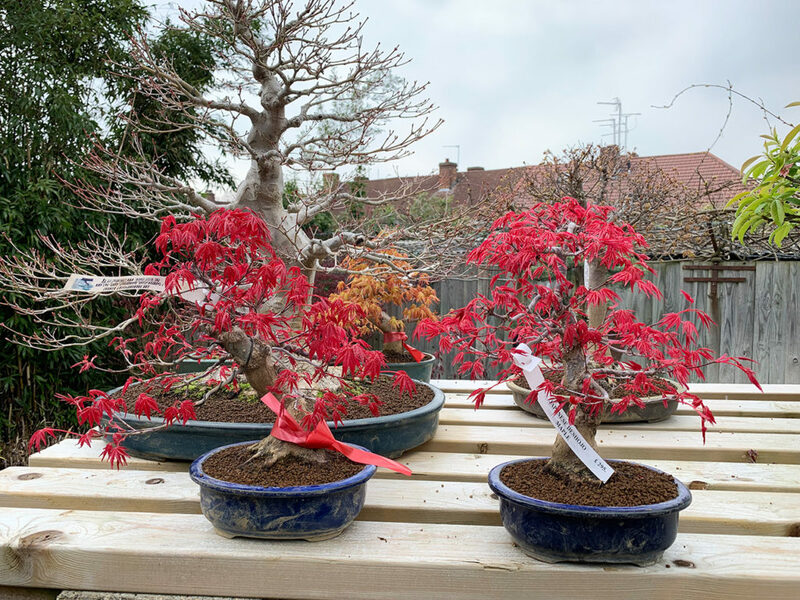 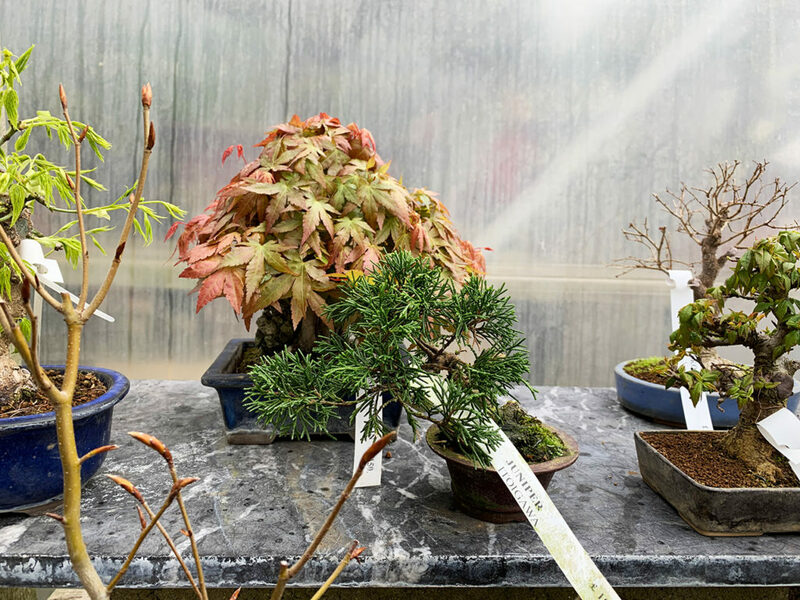 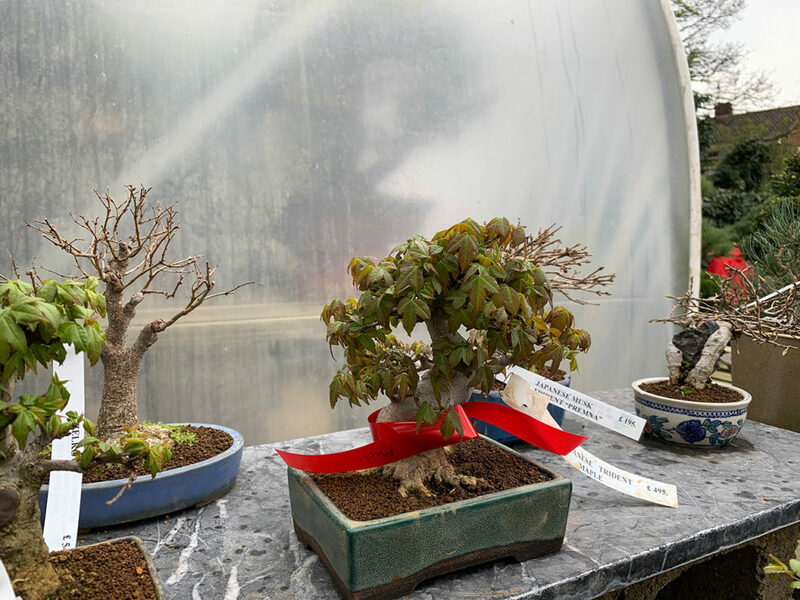 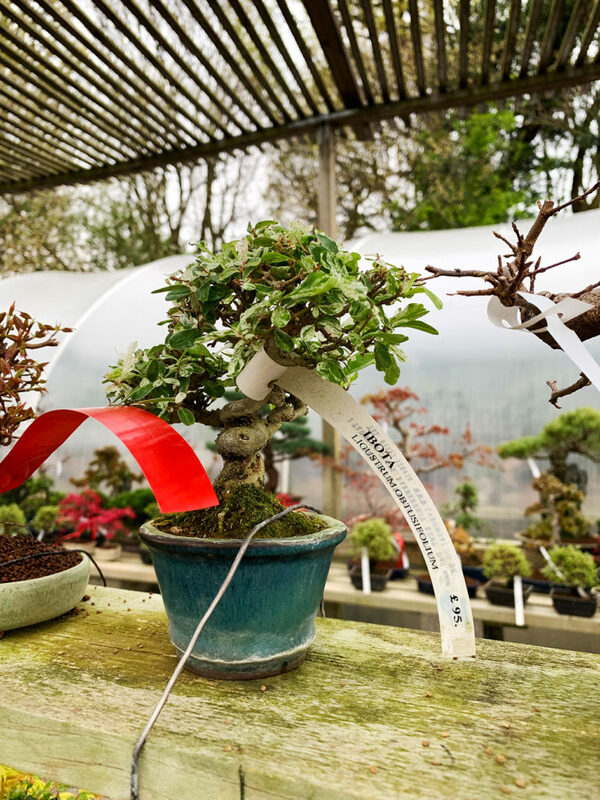 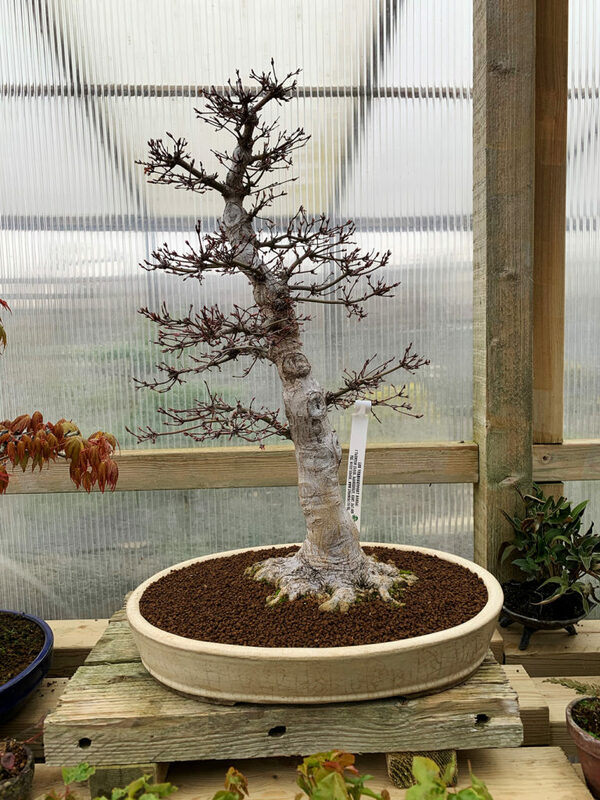 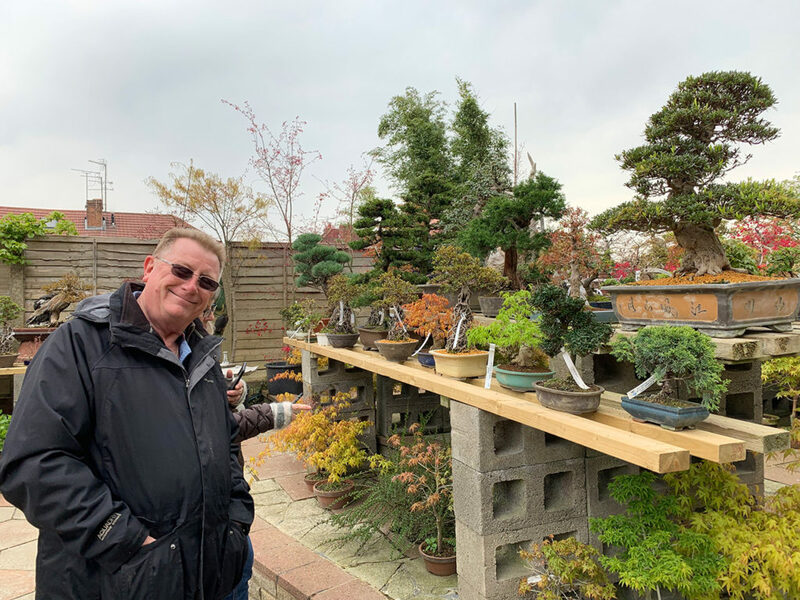 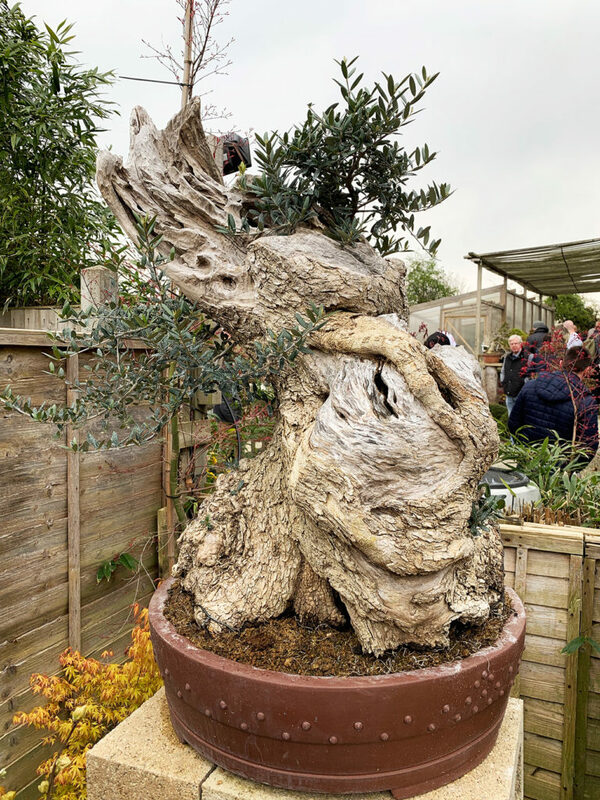 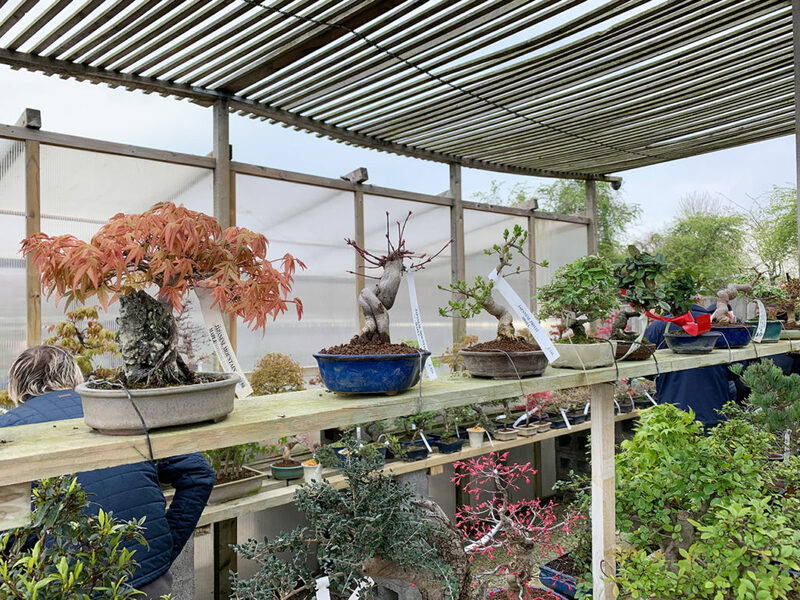 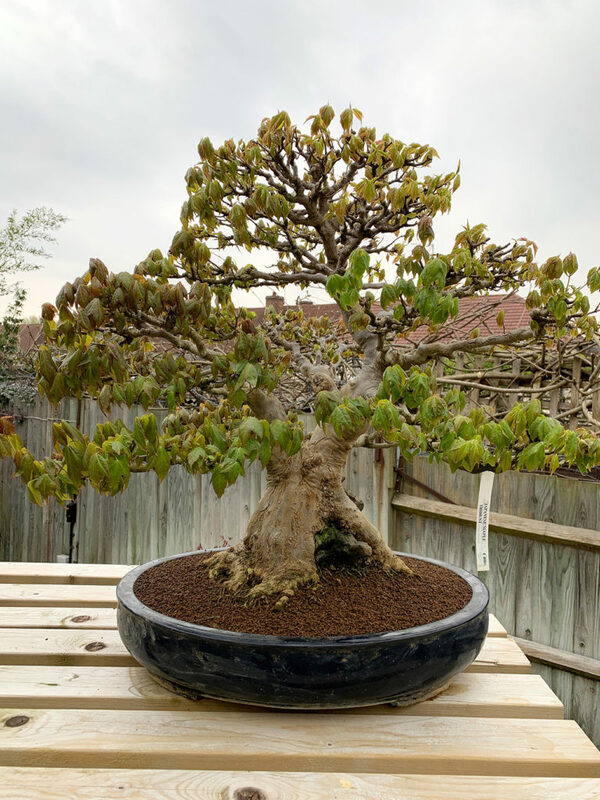 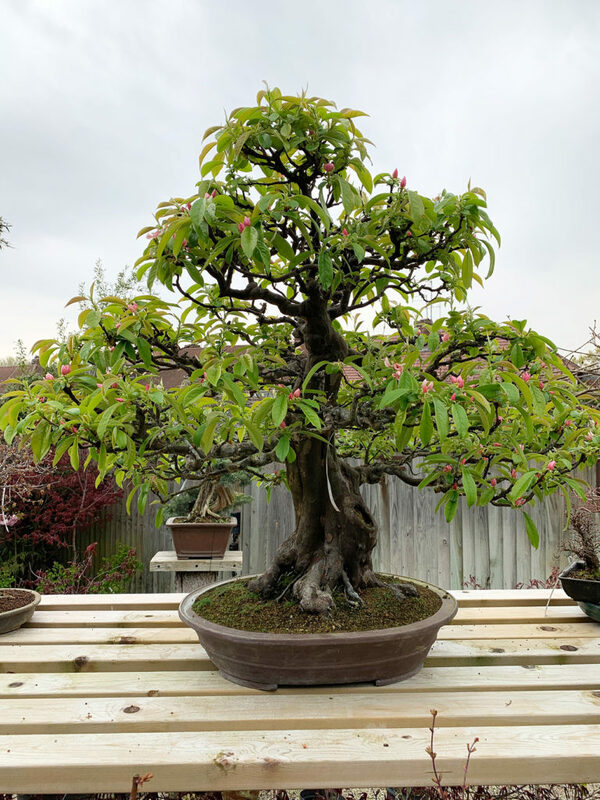 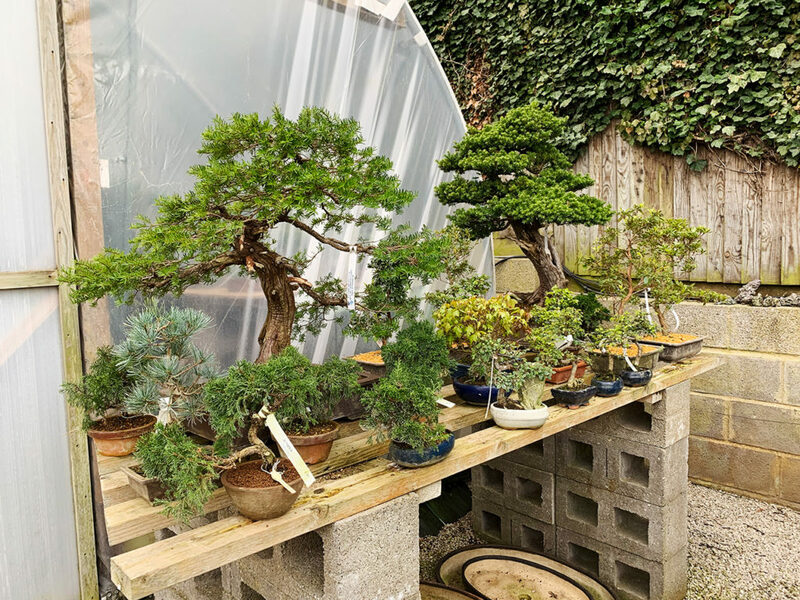 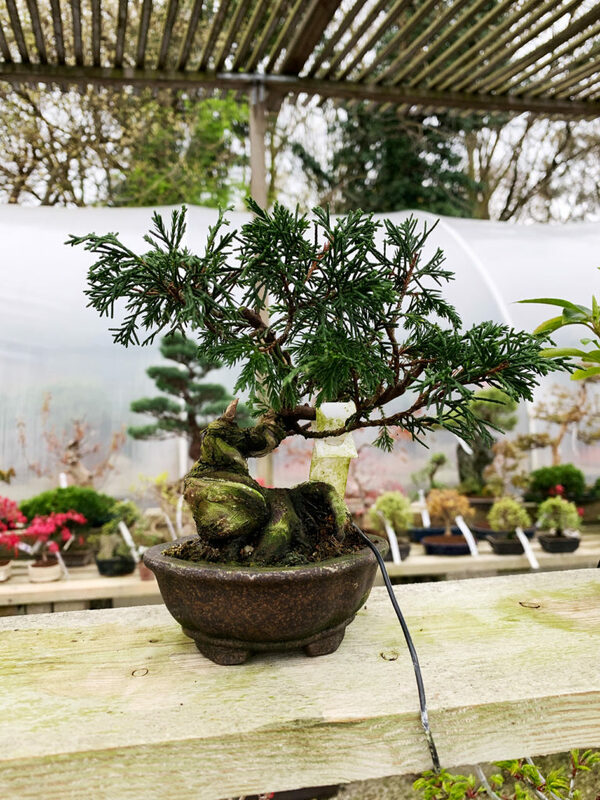 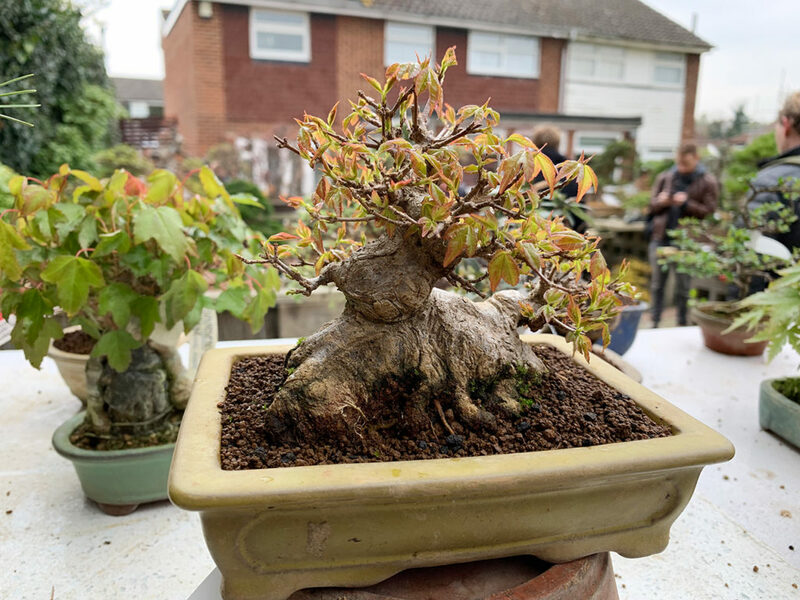 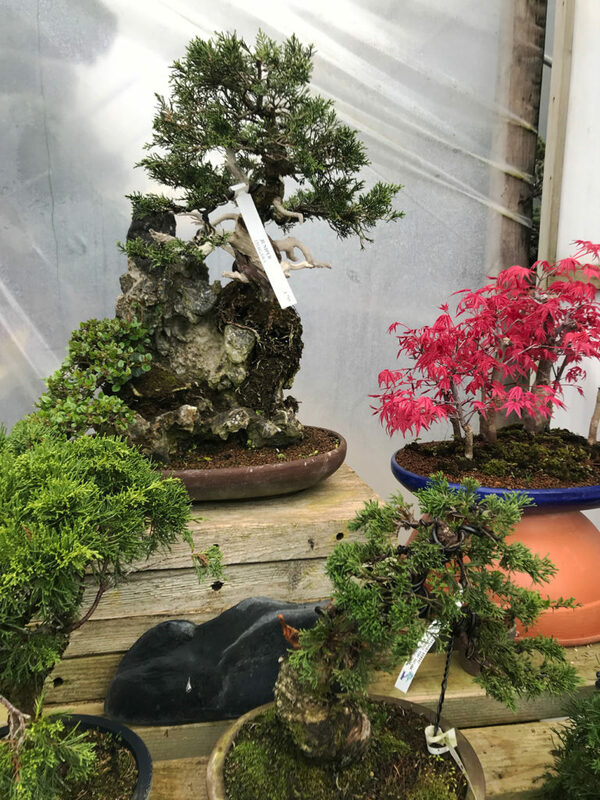 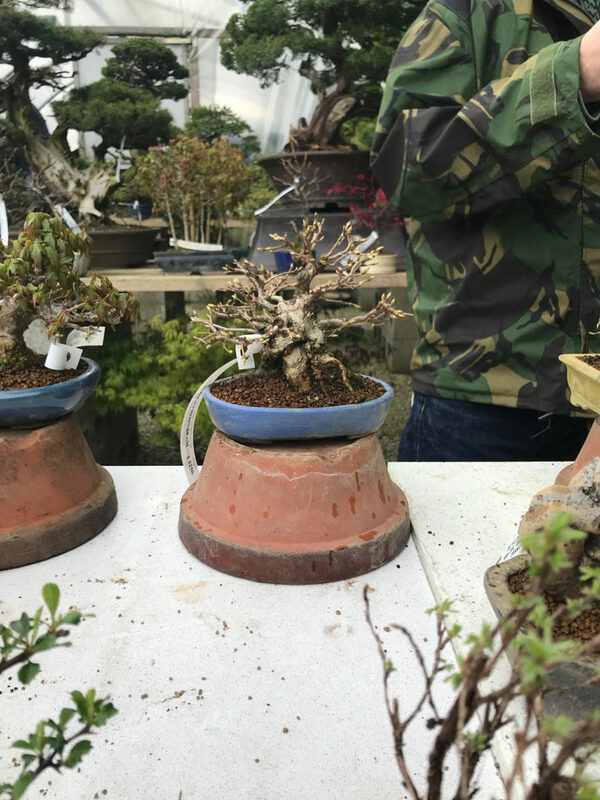 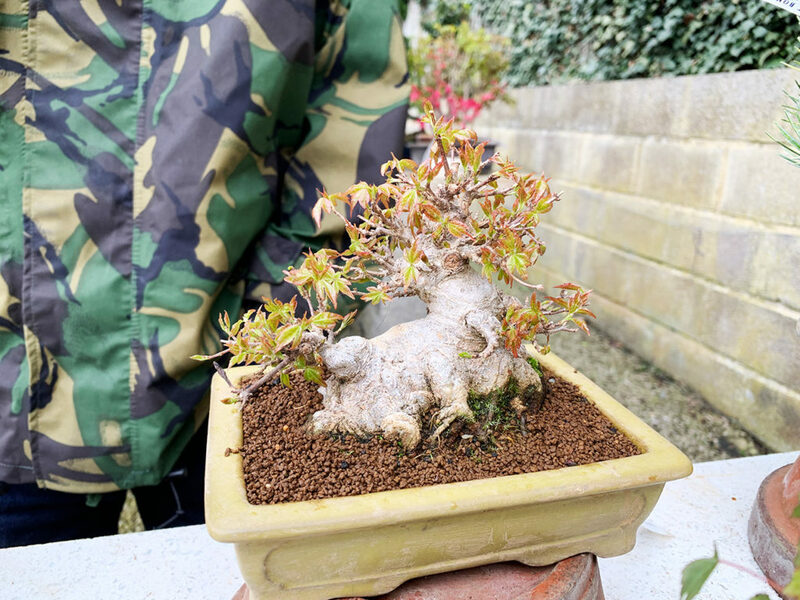 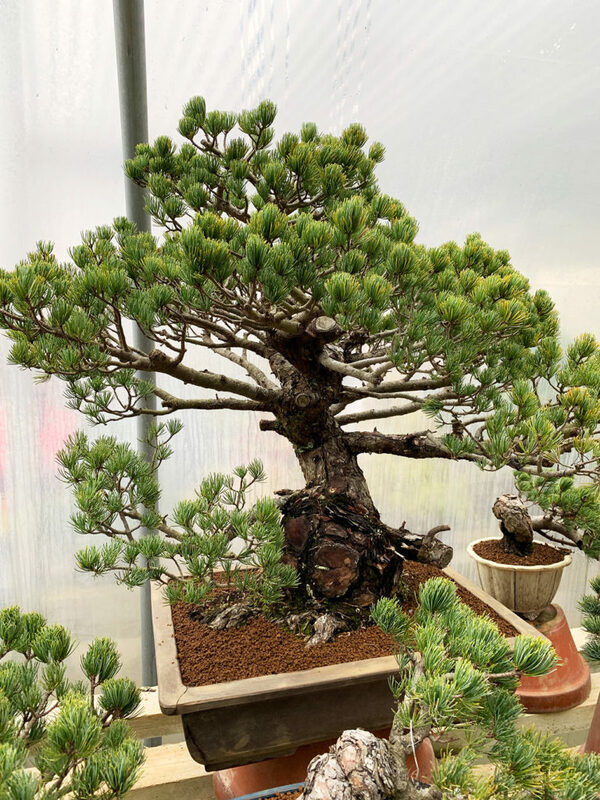 He runs workshops at clubs and also does private workshops with individuals or groups to help people advance their bonsai trees offering advice and guidance and technical help with wiring, pruning, styling, repotting and everything to do with bonsai. 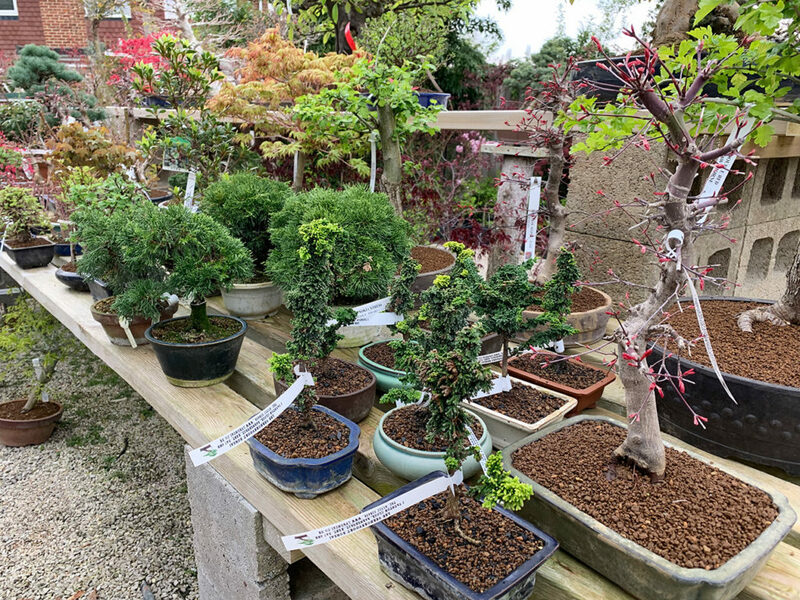 If you need any bonsai supplies you can also get these from Lee as he stocks wire, tools, pots and soils as well as an extensive bonsai tree range. 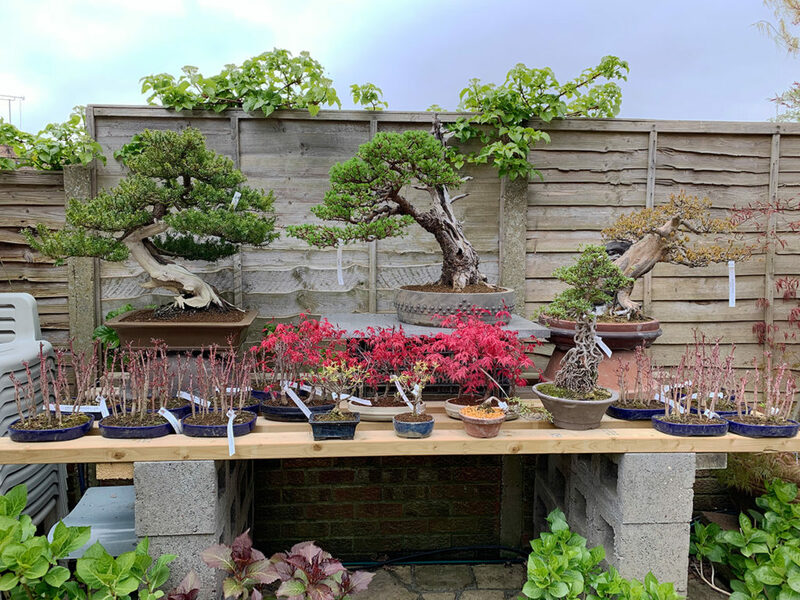 It was great to see so many bonsai today and here are a selection of images of the trees on sale today and more images on his website of the new stock too. 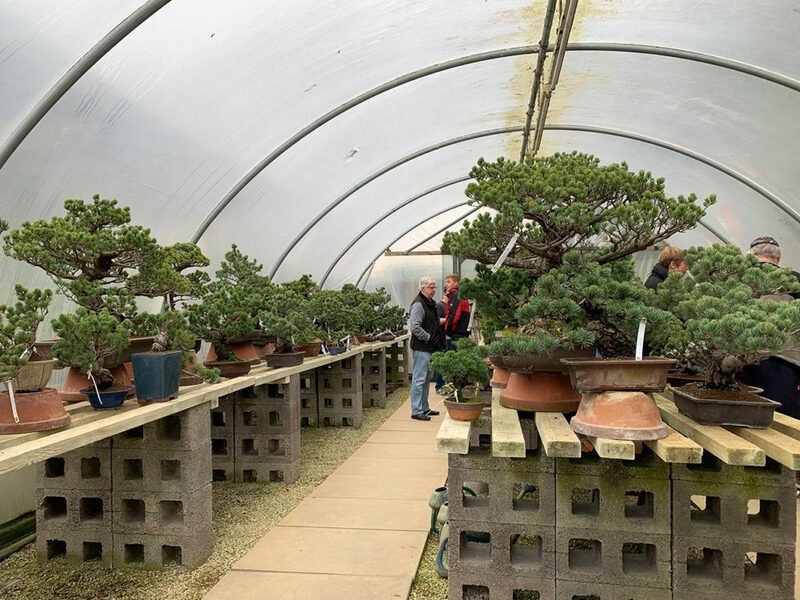 Posted April 13, 2019 by AW & filed under General Interest, Visits.